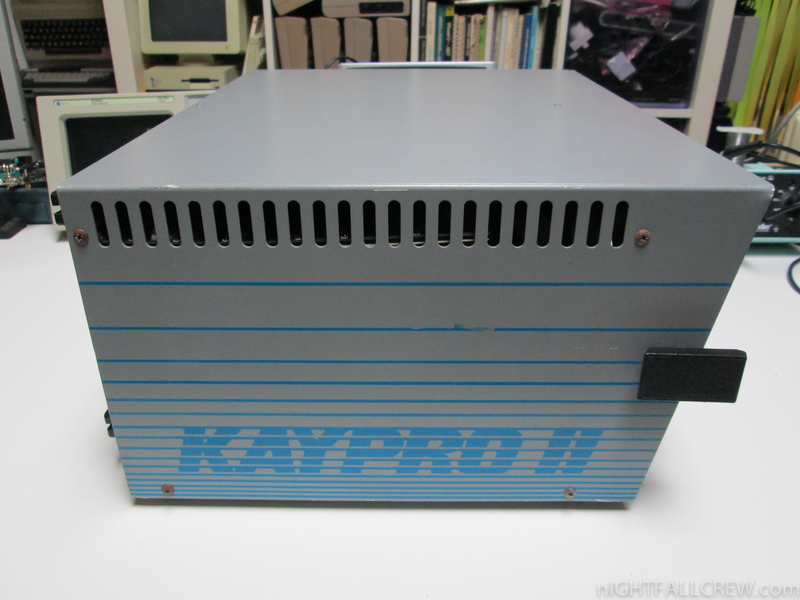 Kaypro Corporation, commonly called Kaypro, was an American home/personal computer manufacturer of the 1980s. 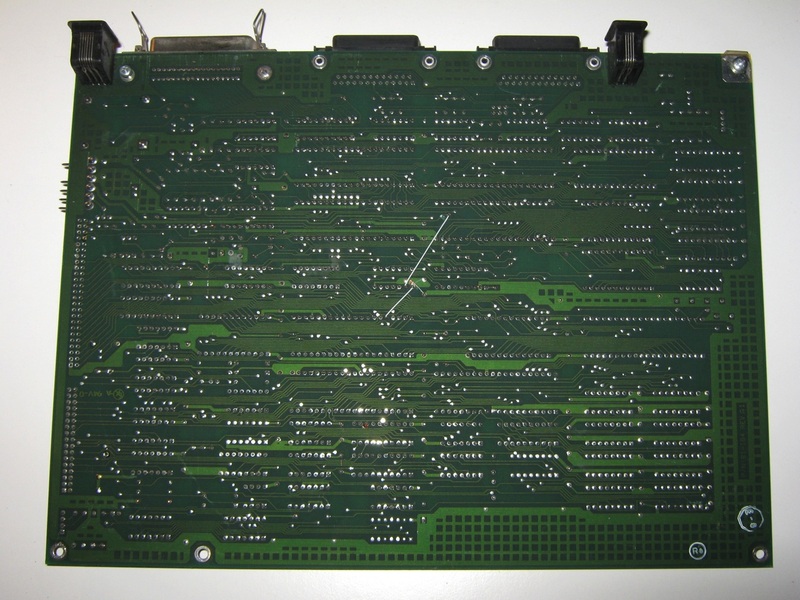 The company was founded by Non-Linear Systems to develop computers to compete with the then-popular Osborne 1 portable microcomputer. 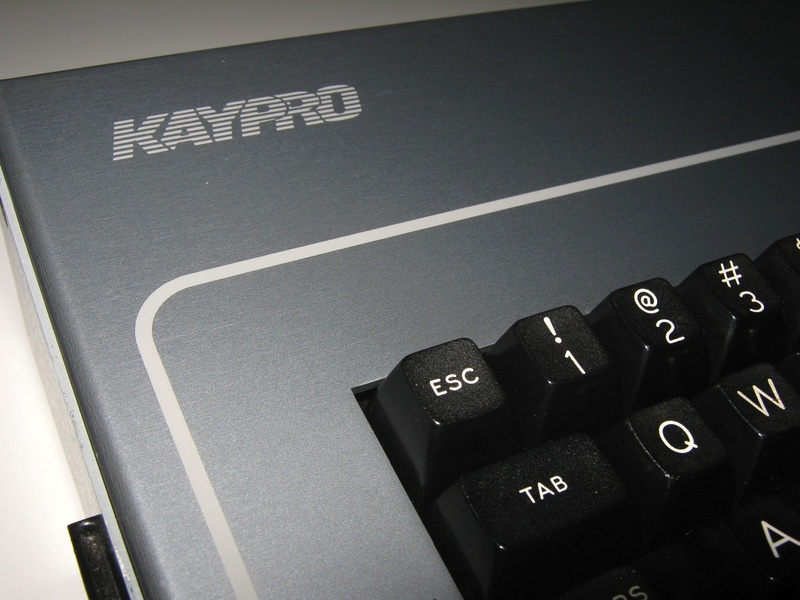 Kaypro produced a line of rugged, portable CP/M-based computers sold with an extensive software bundle which supplanted its competitors and quickly became one of the top selling personal computer lines of the early 1980s. 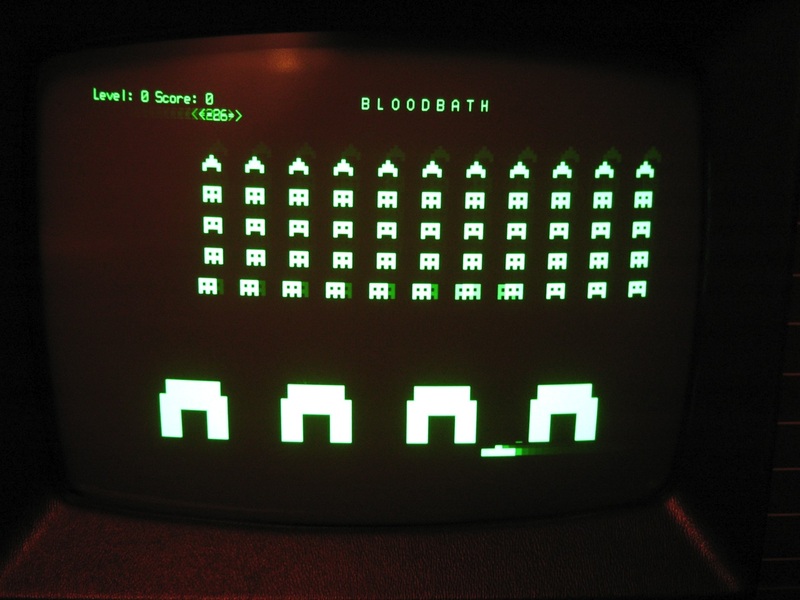 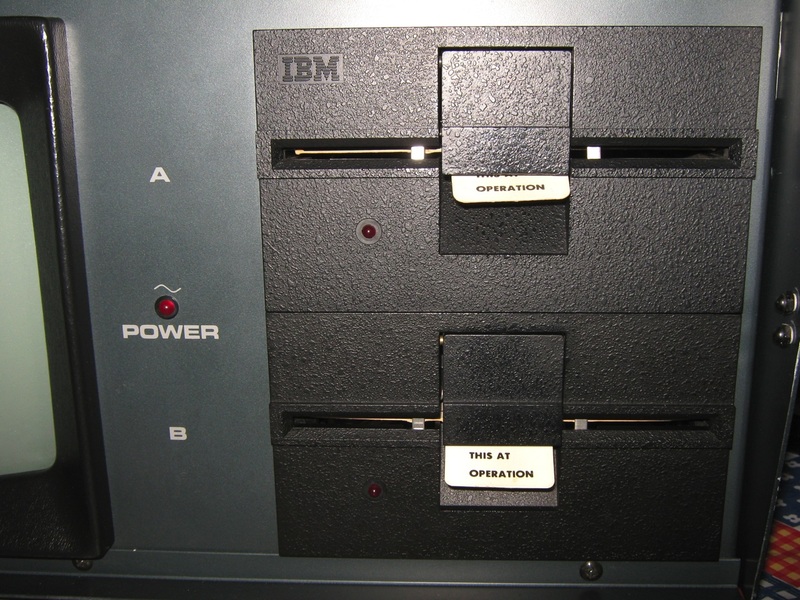 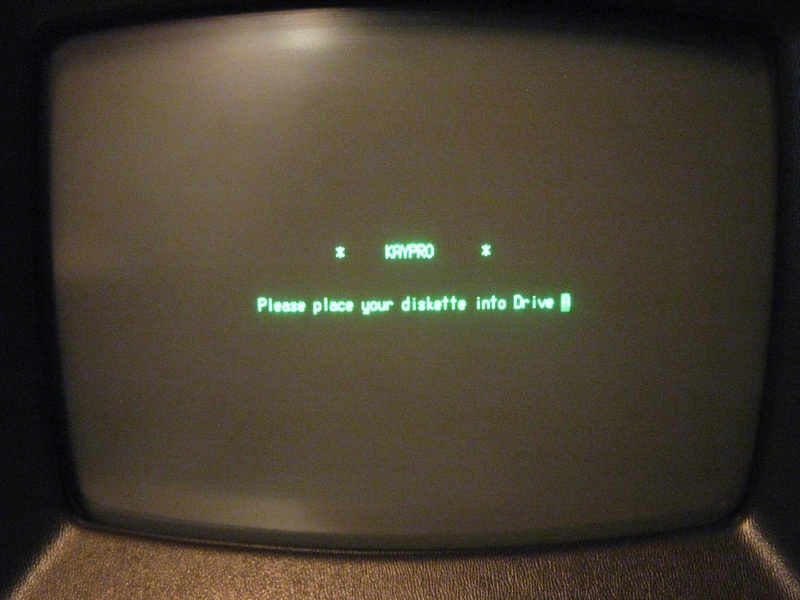 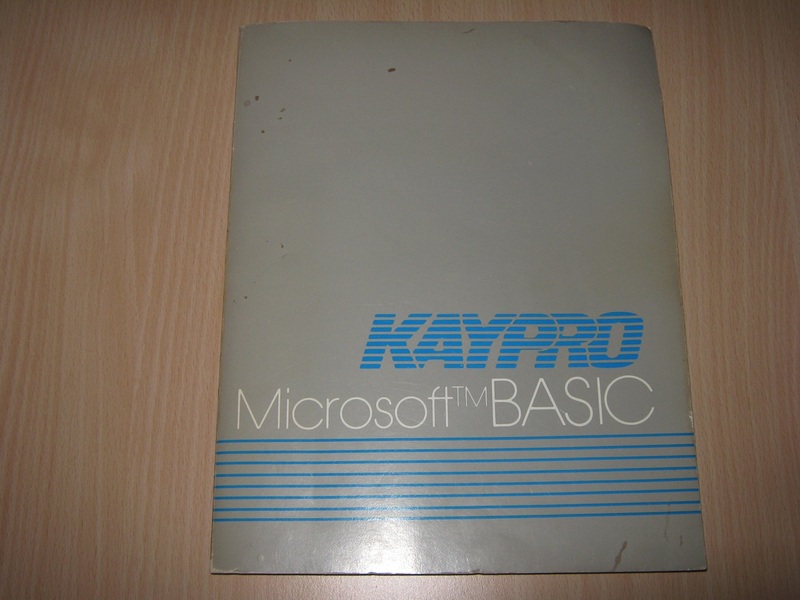 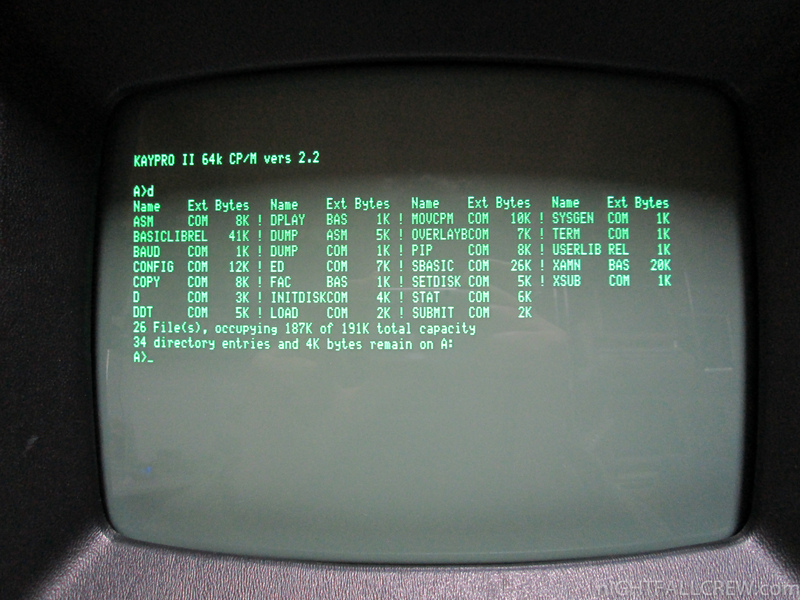 While exceptionally loyal to its original consumer base, Kaypro was slow to adapt to the changing computer market and the advent of IBM PC compatible technology. 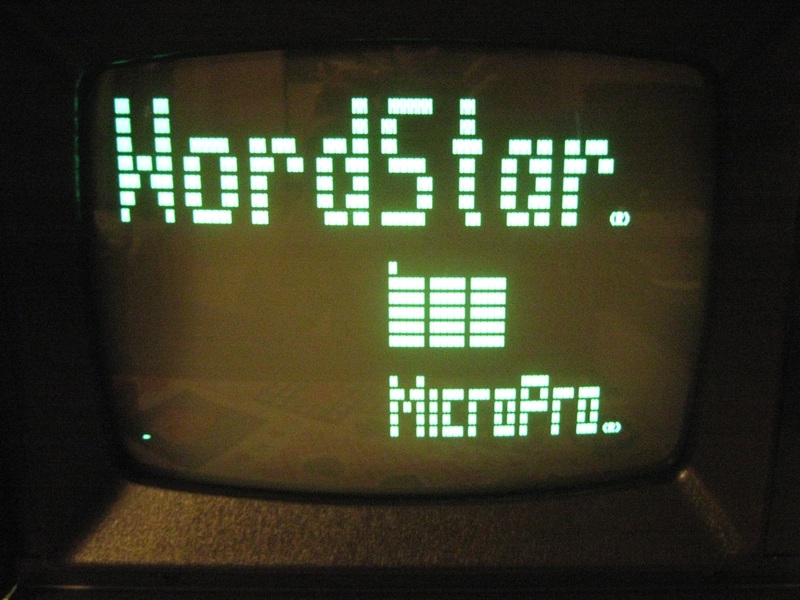 It faded from the mainstream before the end of the decade and was eventually forced into filing for bankruptcy in 1992. 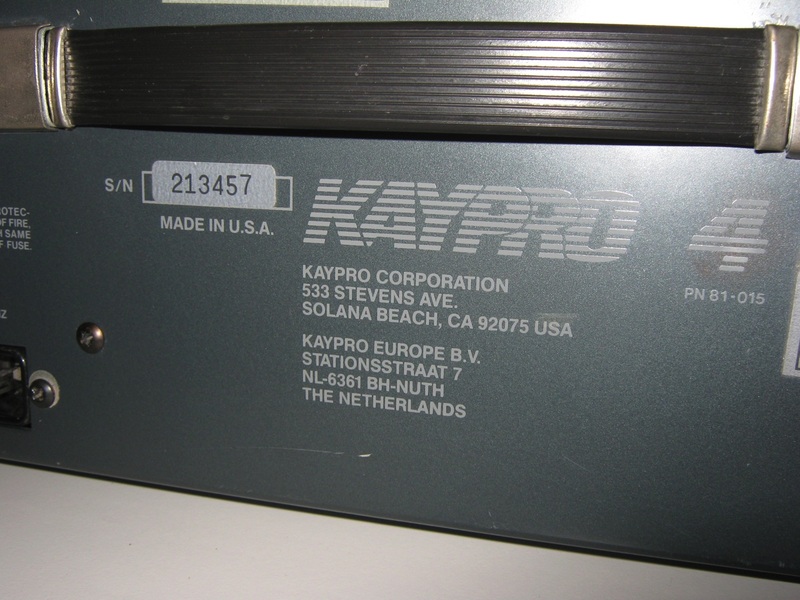 Kaypro began as Non-Linear Systems, a maker of electronic test equipment, founded in 1952 by Andrew Kay, the inventor of the digital voltmeter. 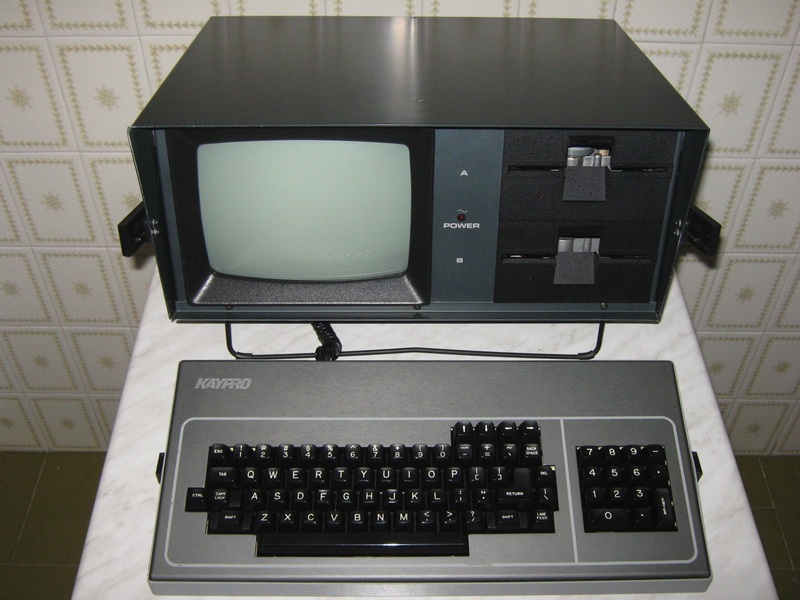 In 1981, Non-Linear Systems began designing a personal computer, called KayComp, that would compete with the popular Osborne 1 transportable microcomputer. 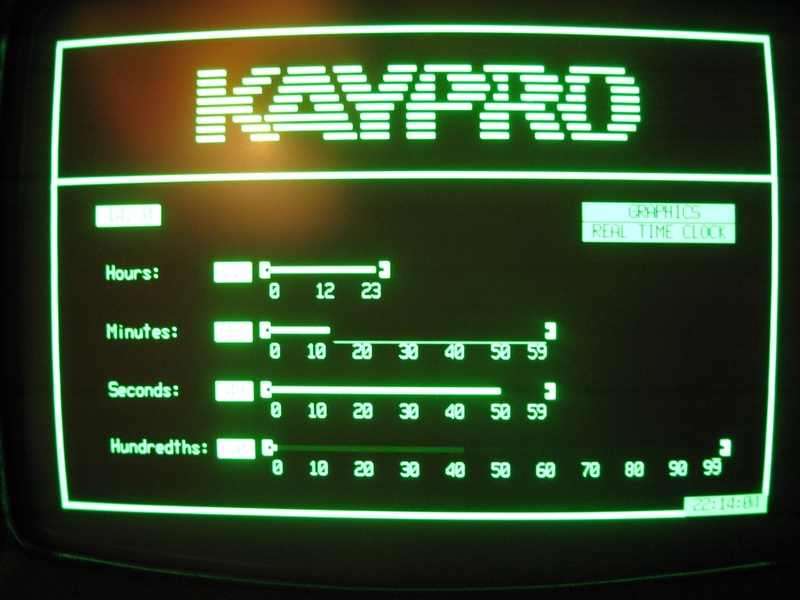 In 1982, Non-Linear Systems organized a daughter company named the Kaypro Corporation and rechristened the computer with the same name. 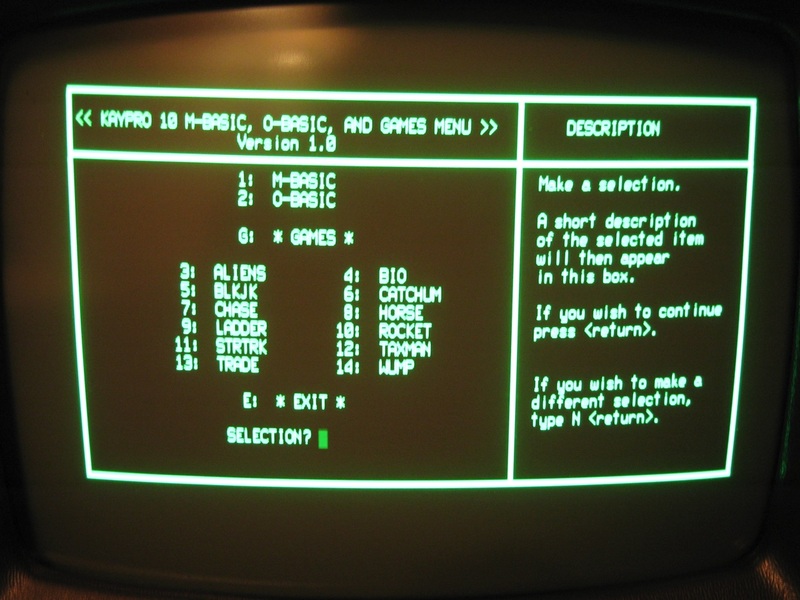 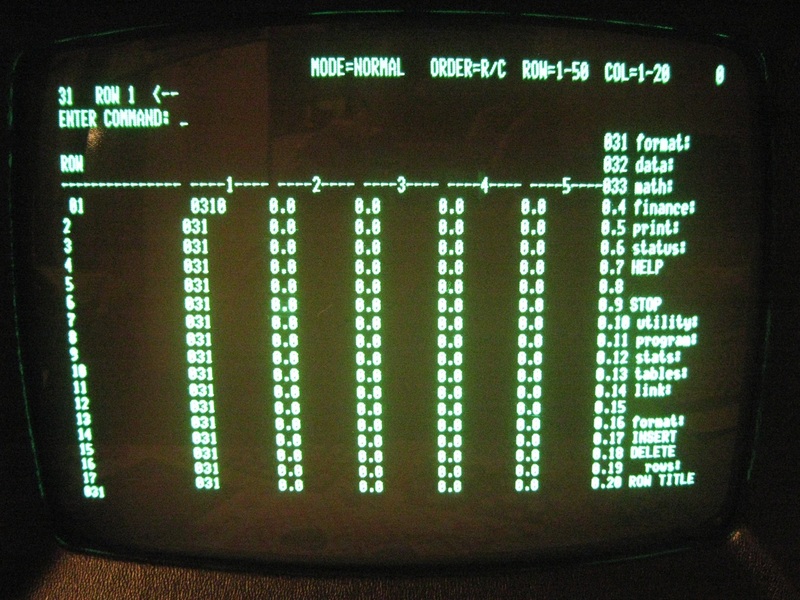 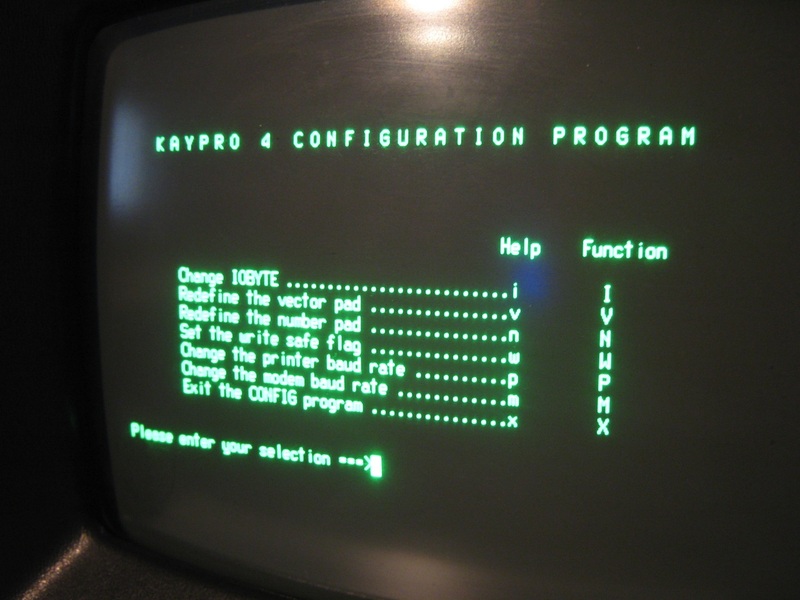 The first product, the Kaypro II, carried the Roman-numeral designation because one of the most popular microcomputers at the time was the Apple II. 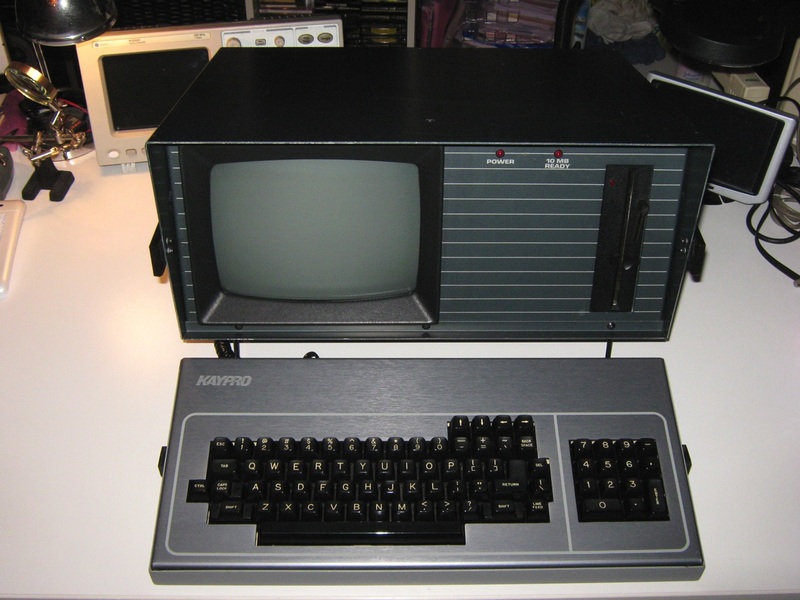 The Kaypro II was designed to be portable like the Osborne. 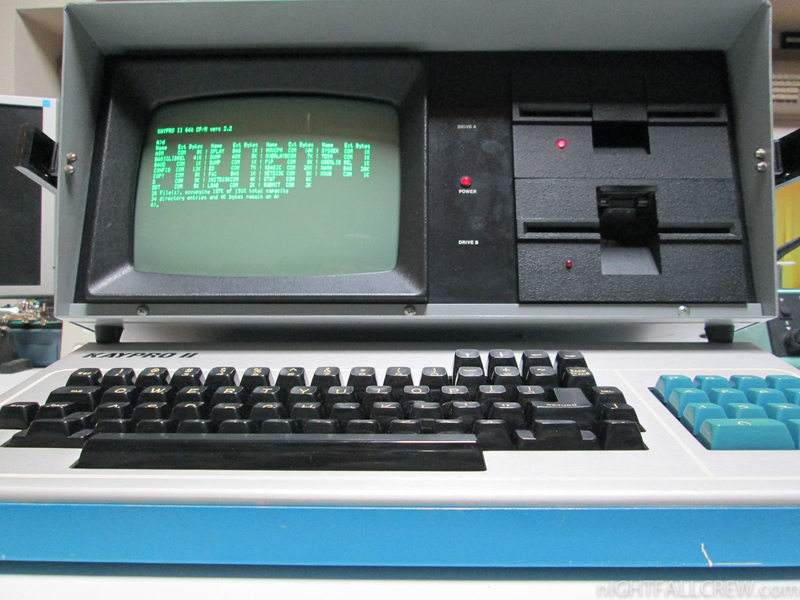 (When battery-powered laptop computers became available, the larger machines came to be called transportable or luggable, rather than portable.) Set in an aluminum case, it weighed 29 pounds (13 kilograms) and was equipped with a Zilog Z80 microprocessor, 64 kilobytes of RAM, and two 5¼-inch double-density floppy-disk drives. 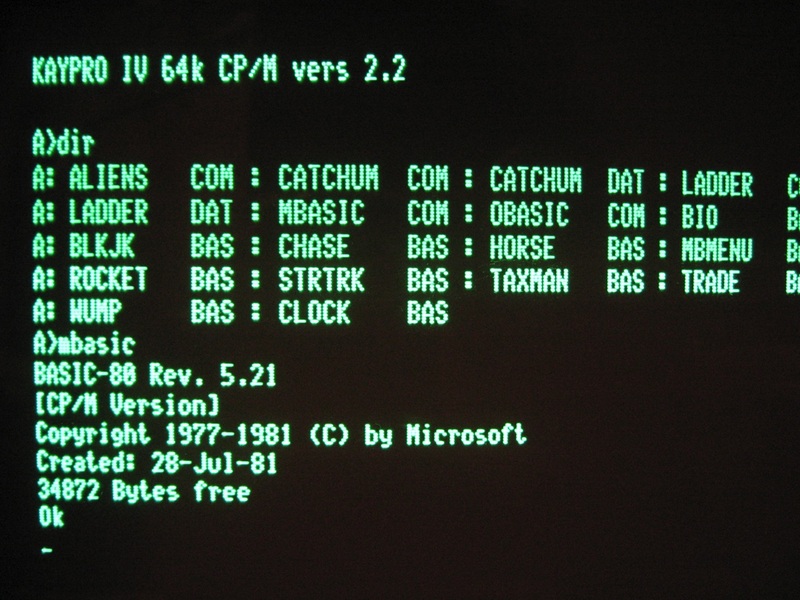 It ran on Digital Research, Inc.’s CP/M operating system, and sold for about US$1,795.00. Kaypro’s first computer, the Kaypro II, had a 2.5 MHz Zilog Z80 microprocessor; 64 Kb of RAM; dual, single-sided, 191 kB 5¼ inch floppy disk drives; and an 80-column, green monochrome, 9″ CRT. 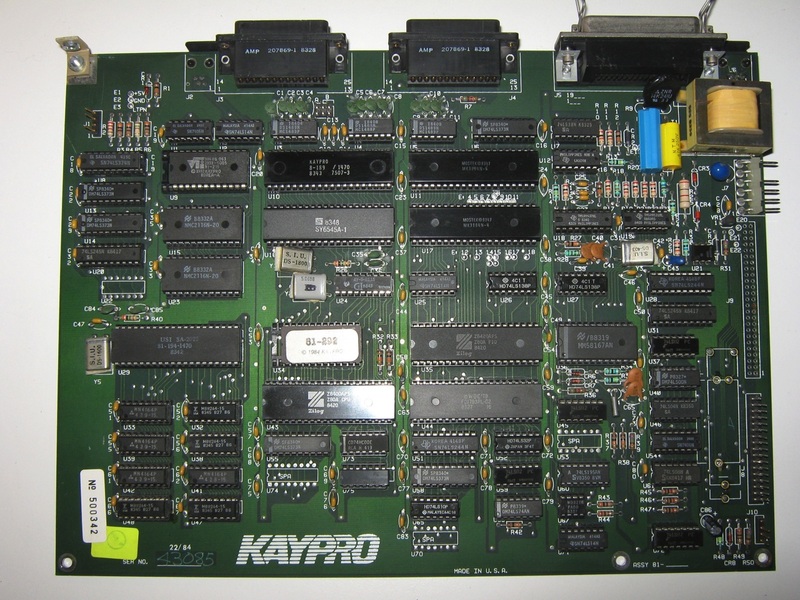 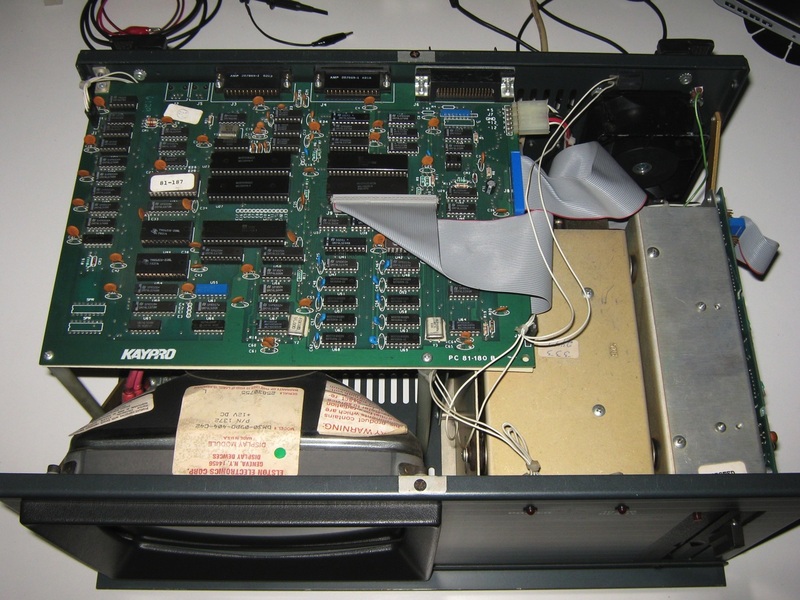 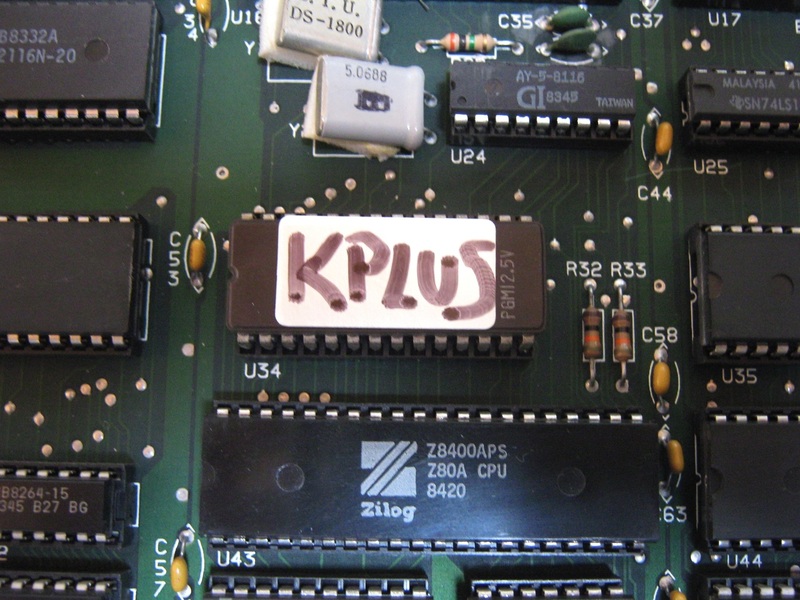 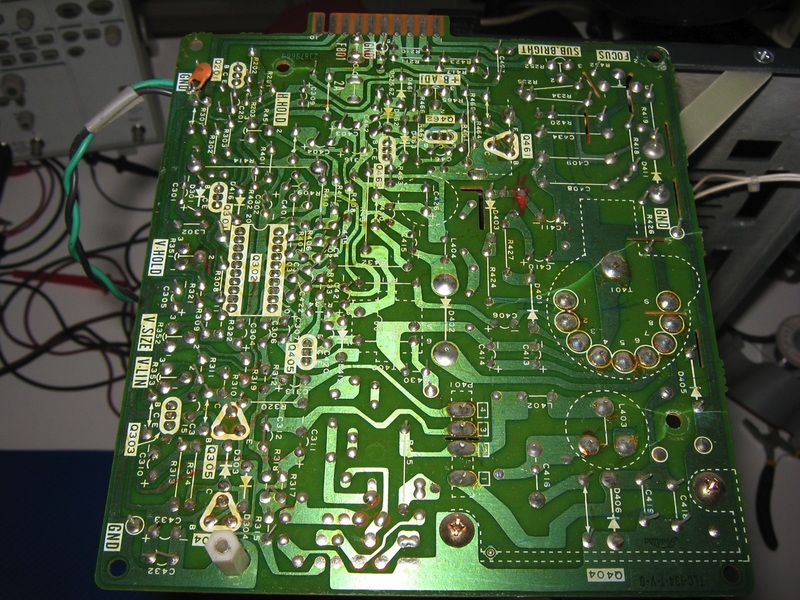 Early in the Kaypro’s life, there was a legal dispute with the owner of the Bigboard computer who charged that the Kaypro II main circuit board was an unlicensed copy or clone. 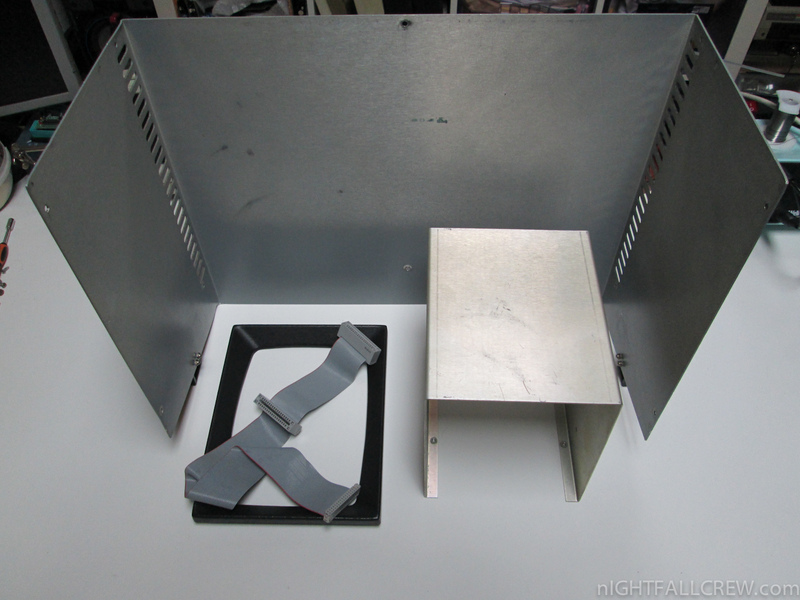 he outer case was constructed of painted aluminum. 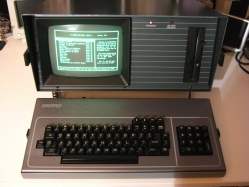 The computer featured a large detachable keyboard that covered the screen and disk drives when stowed. 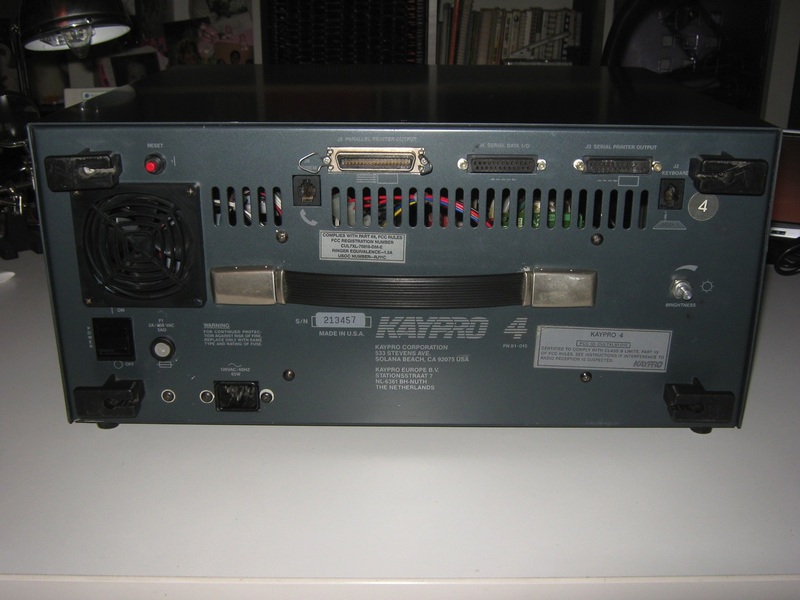 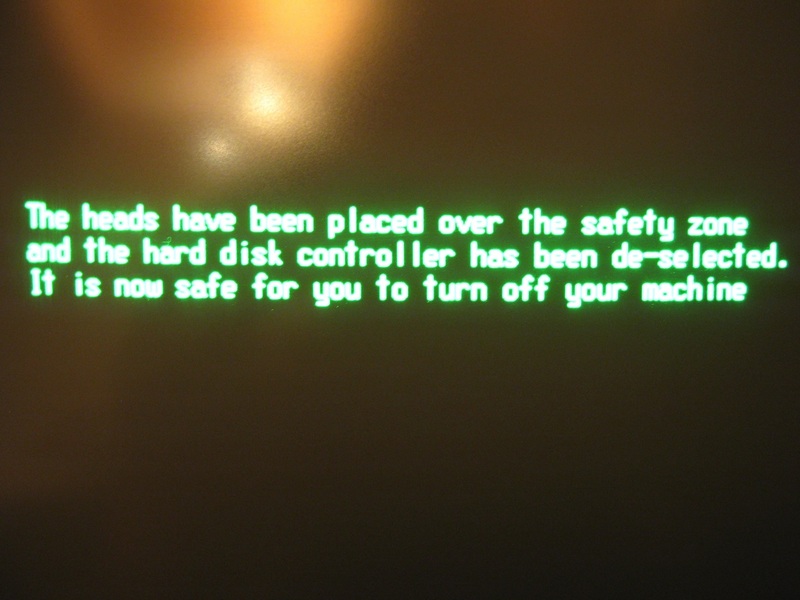 This and other Kaypro computers (except for the Kaypro 2000) ran off regular AC mains power and were not equipped with a battery. 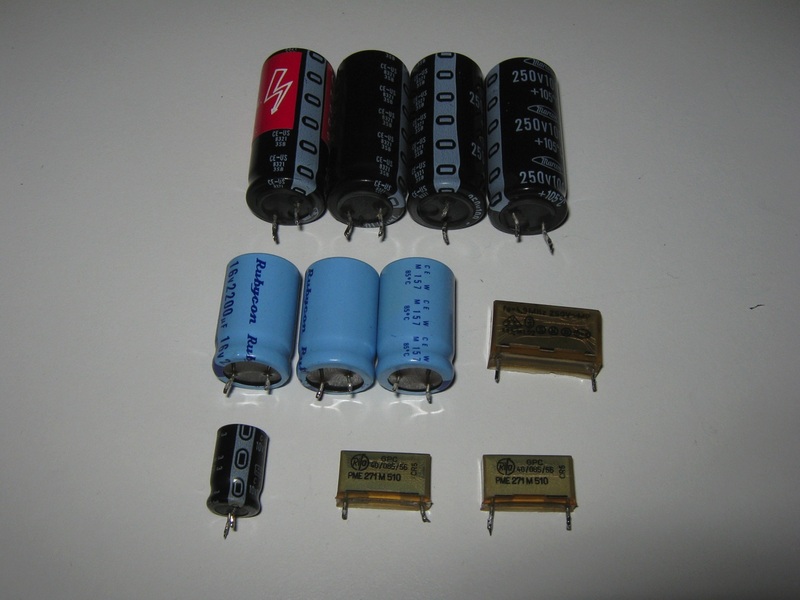 Replaced some Electrolytic Capacitors exhausted (PSU). 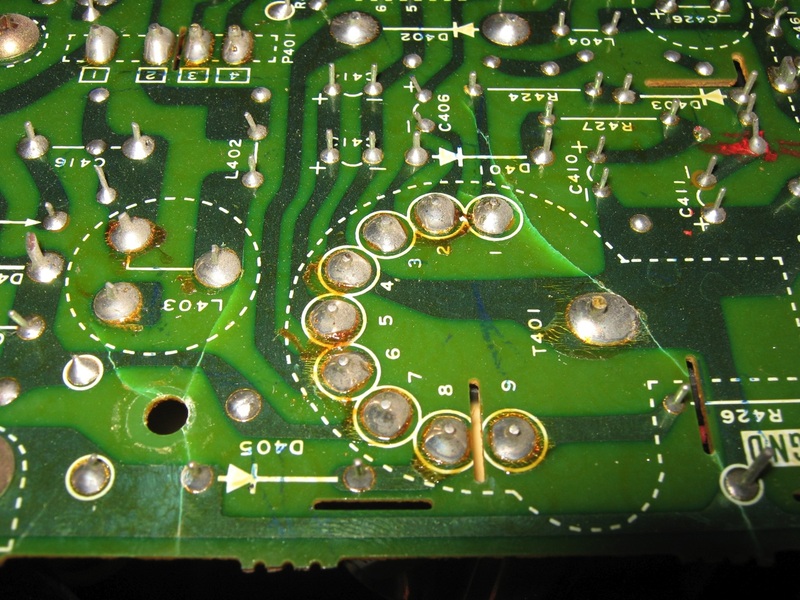 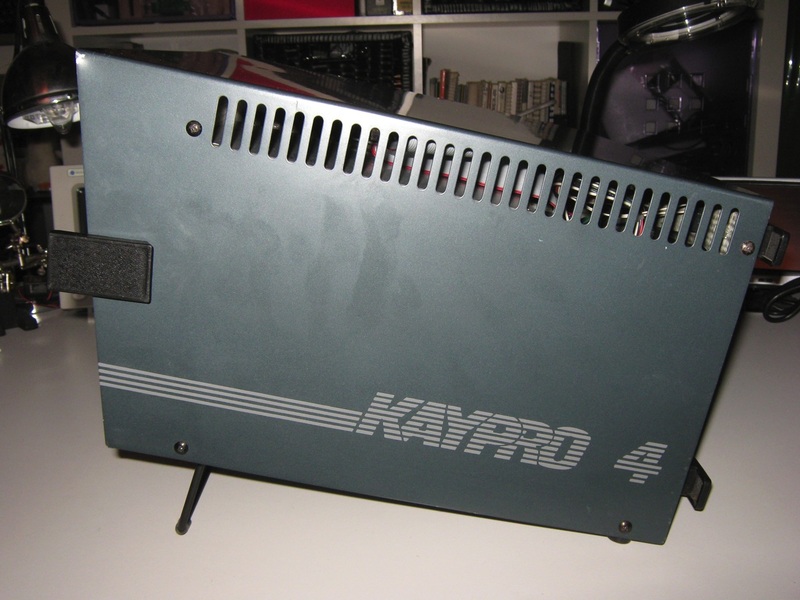 I have found a Kaypro 4/84 in a non working state and some days ago i have decided to open it and i have realized that some components of the power supply are exploded and the video pcb was cracked. 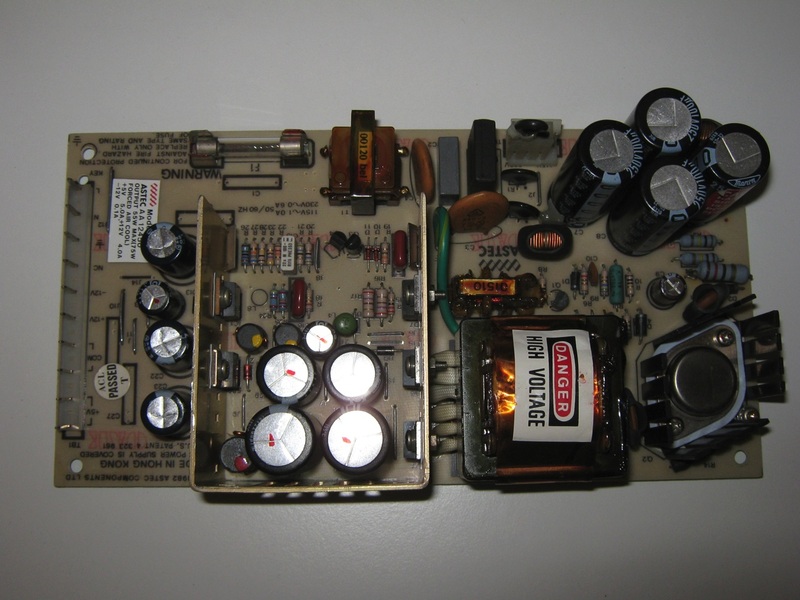 I have not repaired the power supply because some components like the two burned transistors (Motorola W30 and V30) are not on the market, if you have more information about these components please leave me a message. 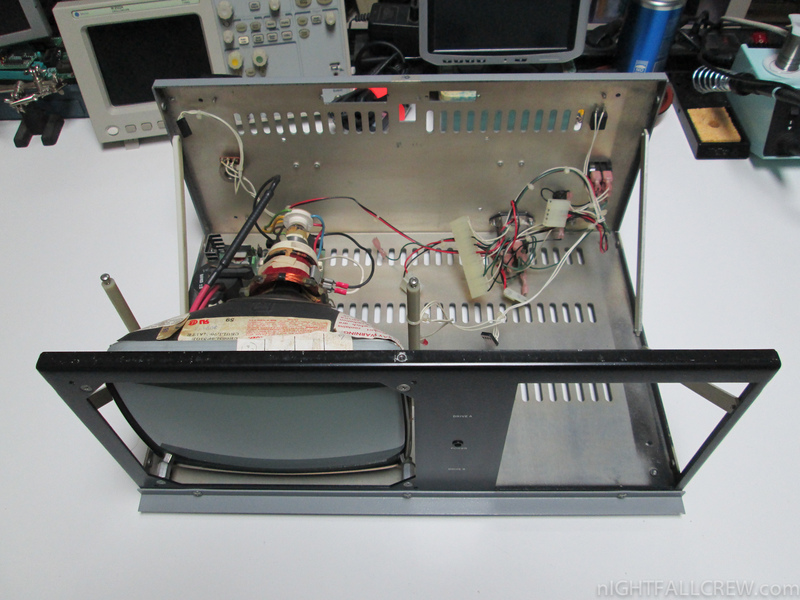 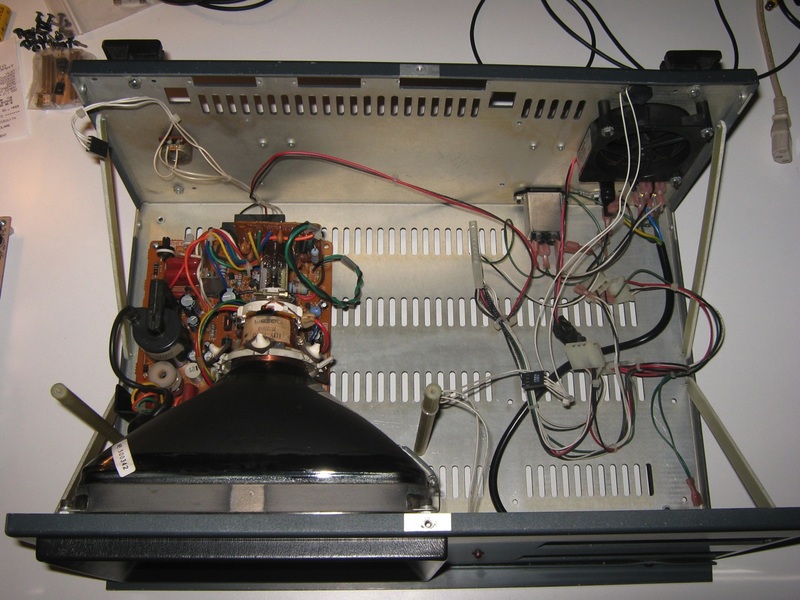 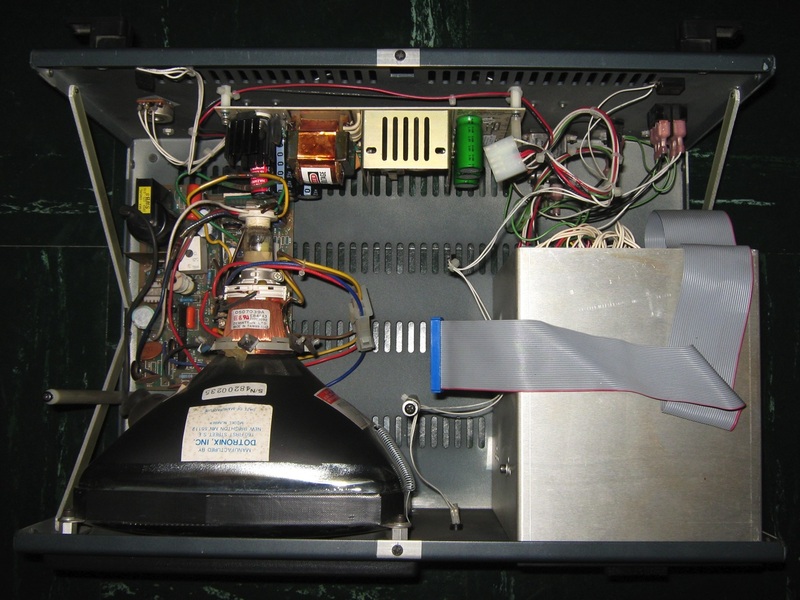 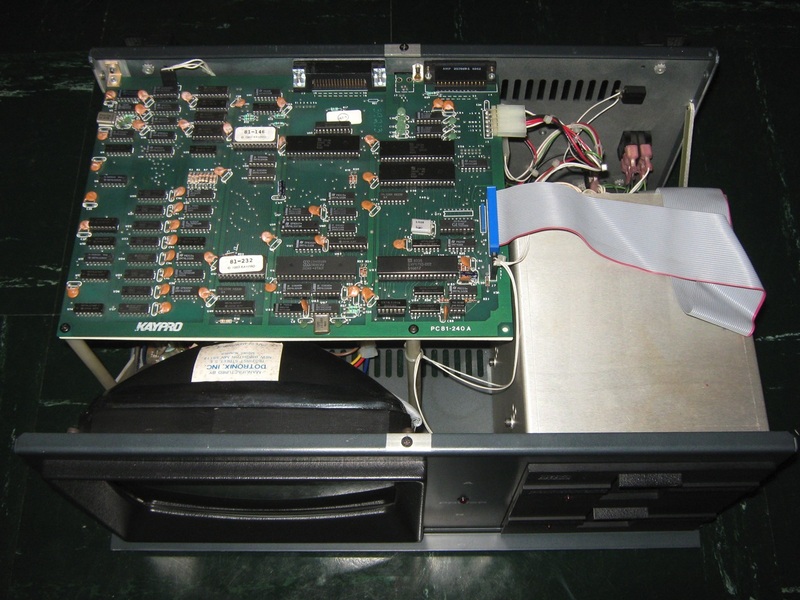 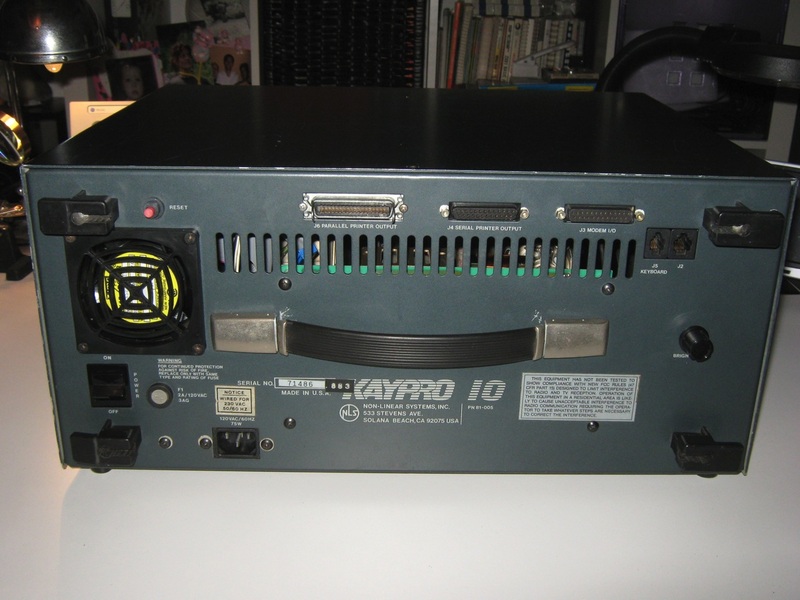 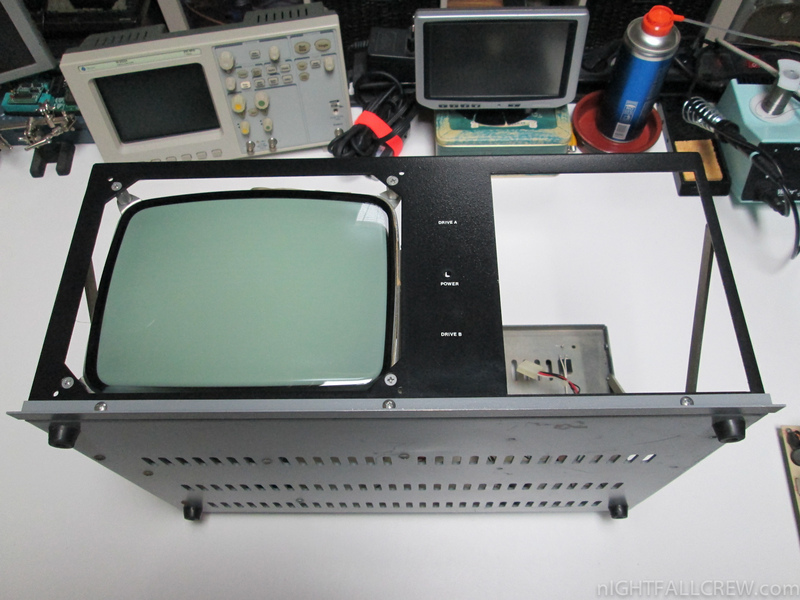 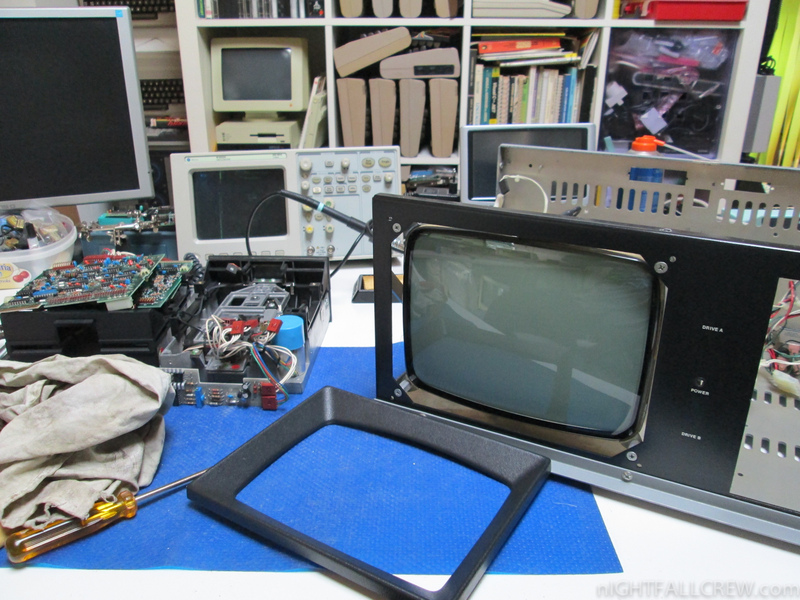 I had to fix the video pcb and i have installed a 200w Slim ATX power supply inside the Kaypro. 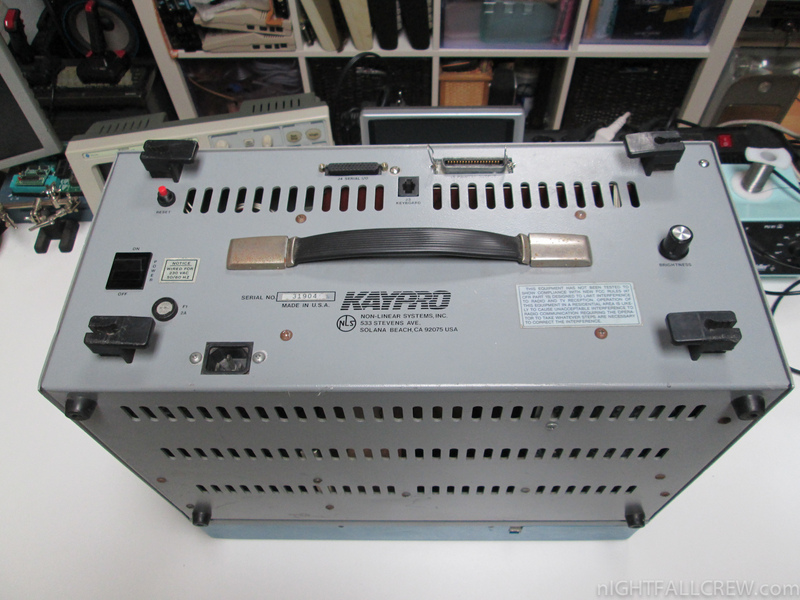 I have made also other improvements to the computer, replaced the battery, totally exhausted and installing the KayPlus rom that offers some enhancements to this computer. 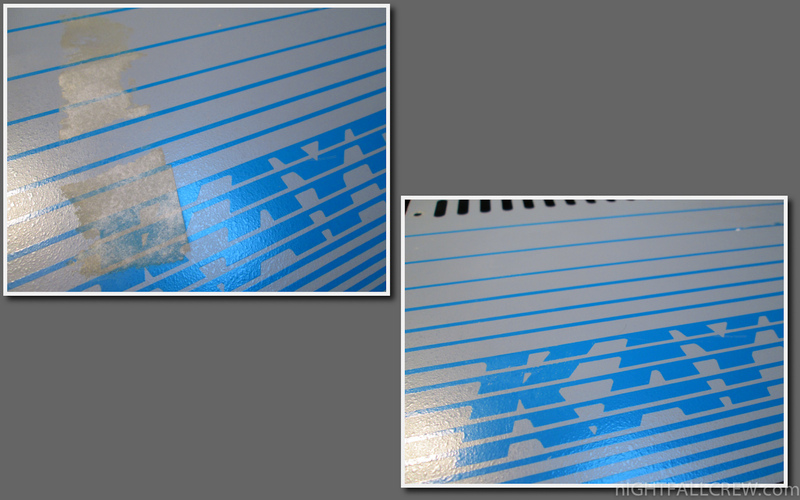 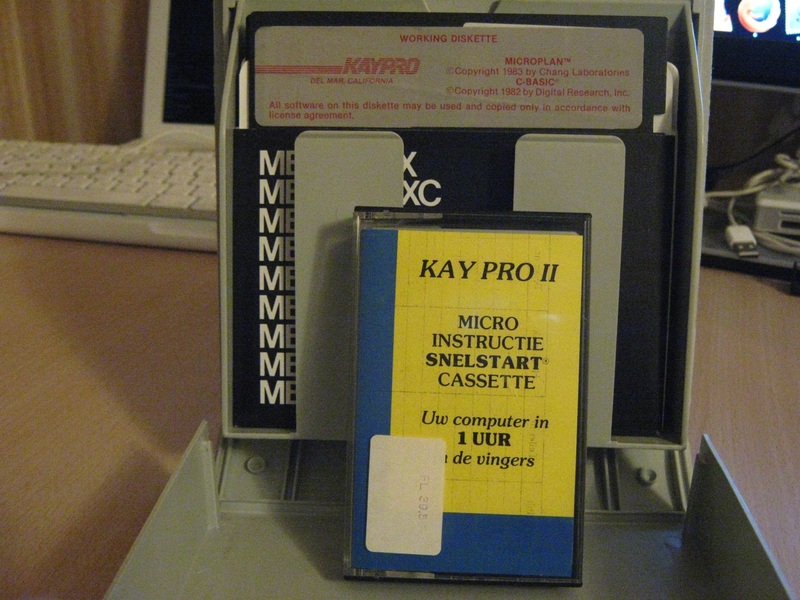 Below you can find the image of the Floppy Disk CP/M 2.2F 62k patched + Tools KayPlus in IMD format (ImageDisk) for the Kaypro 4/84. 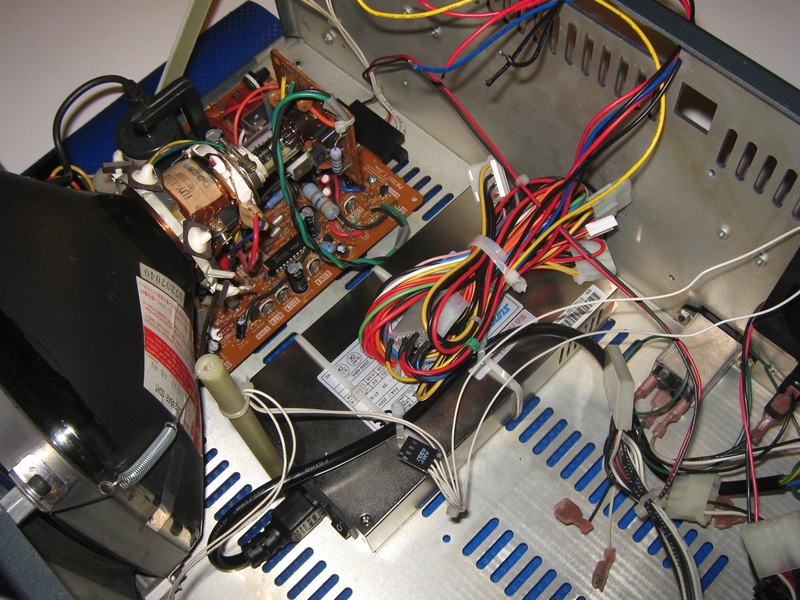 For a correct operation of this computer i have made some repairs. 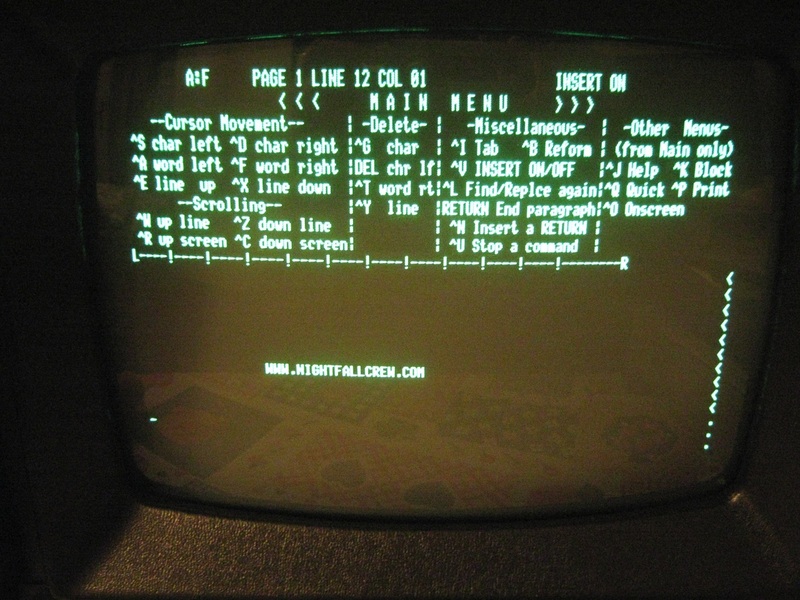 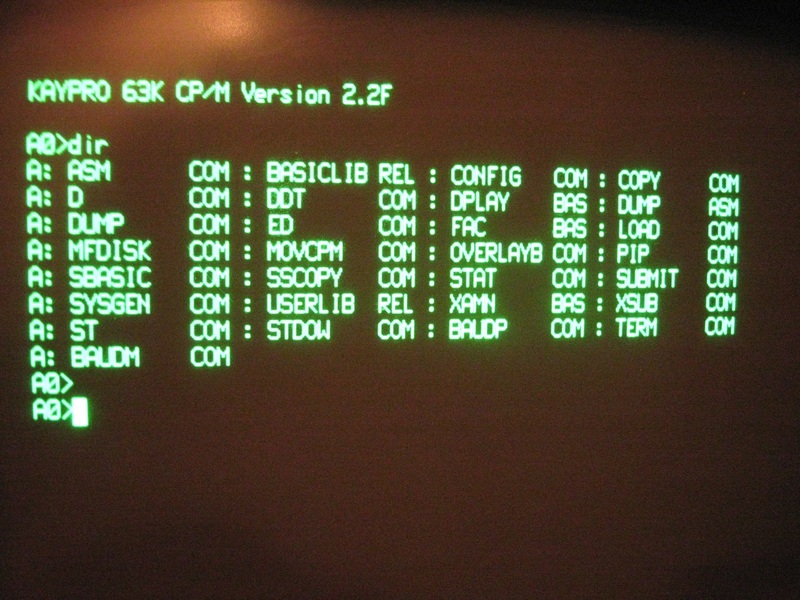 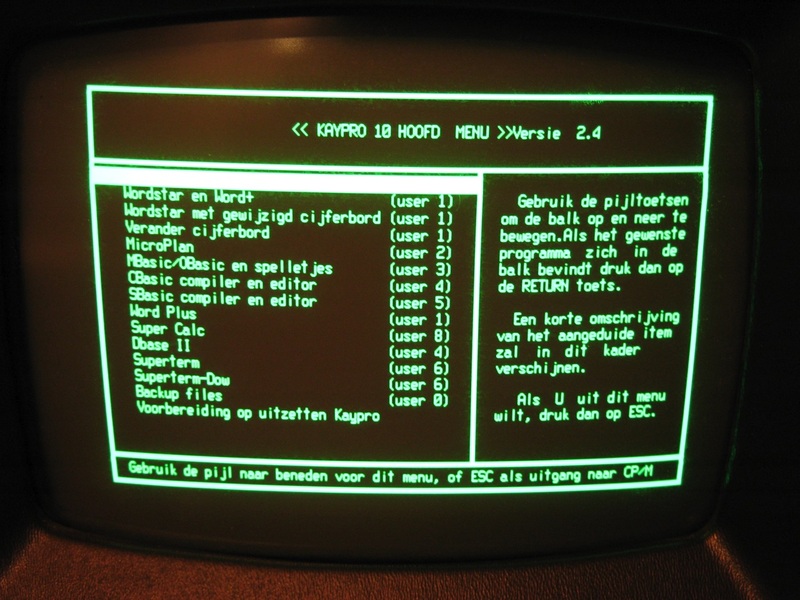 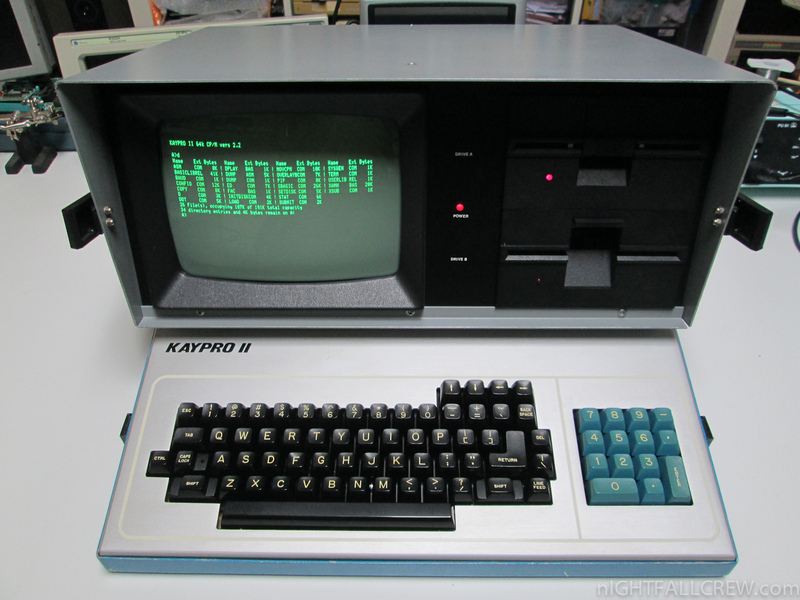 Kaypro’s first computer, the Kaypro II had a 2.5 MHz Zilog Z80 microprocessor, 64 KB of RAM, dual, single-sided, 191 kB 5¼ inch floppy disk drives, and an 80 column green monochrome 9″ CRT. 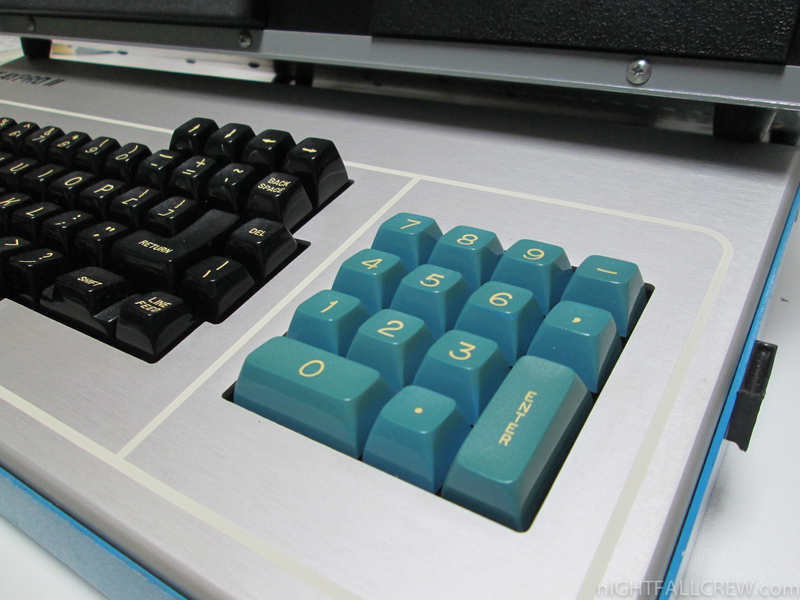 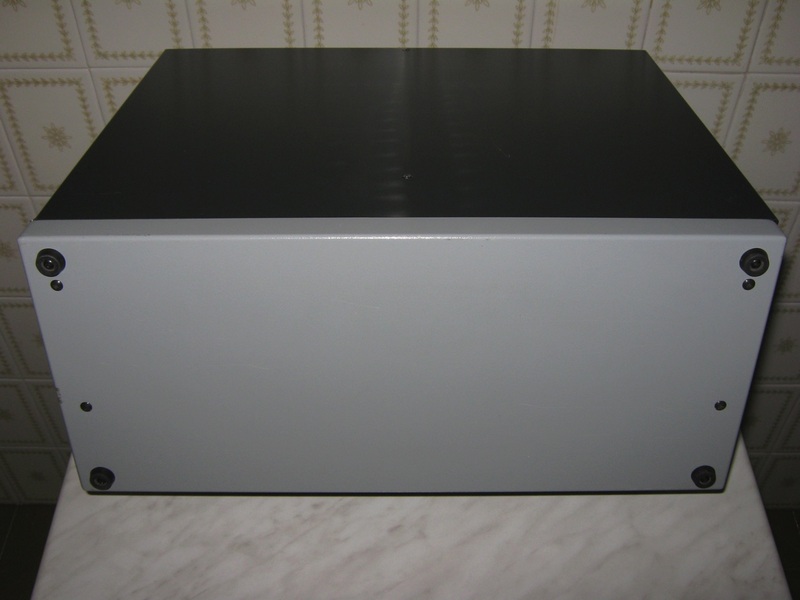 The outer case was constructed of painted aluminum. 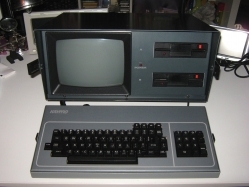 The computer featured a large detachable keyboard that covered the screen and disk drives when stowed. 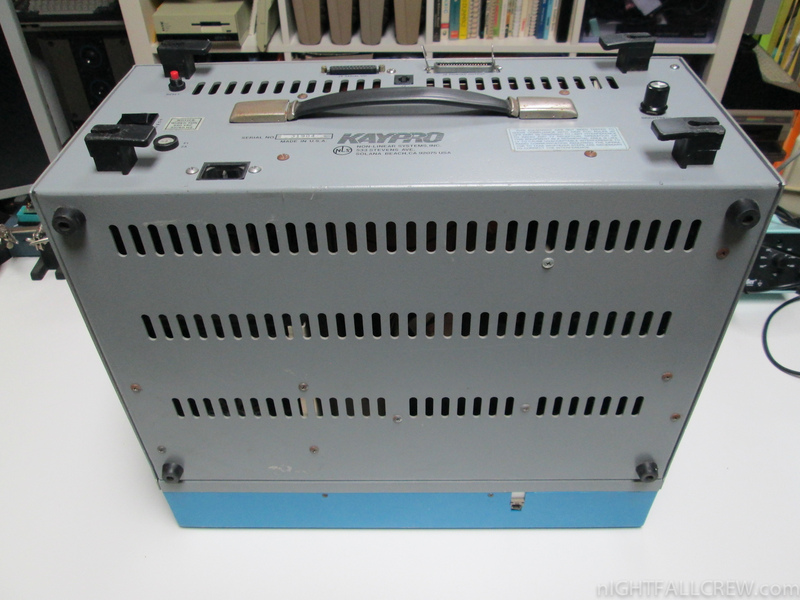 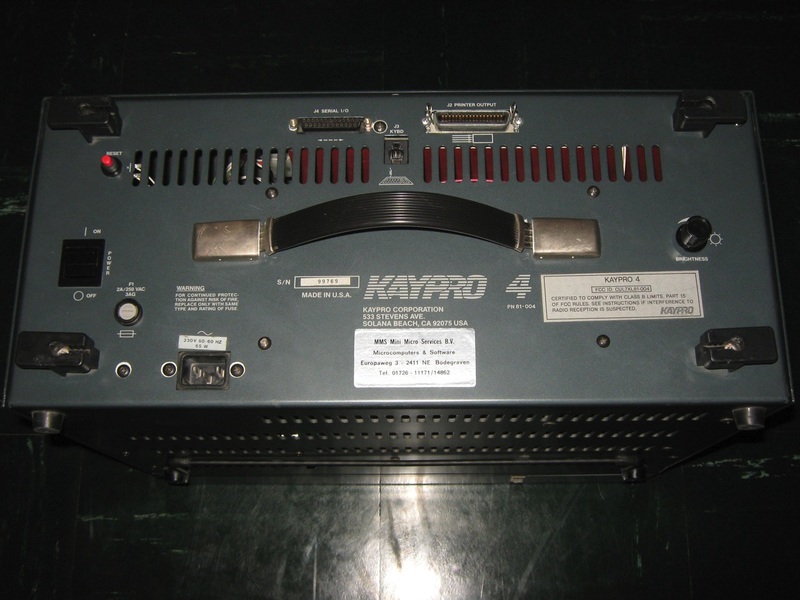 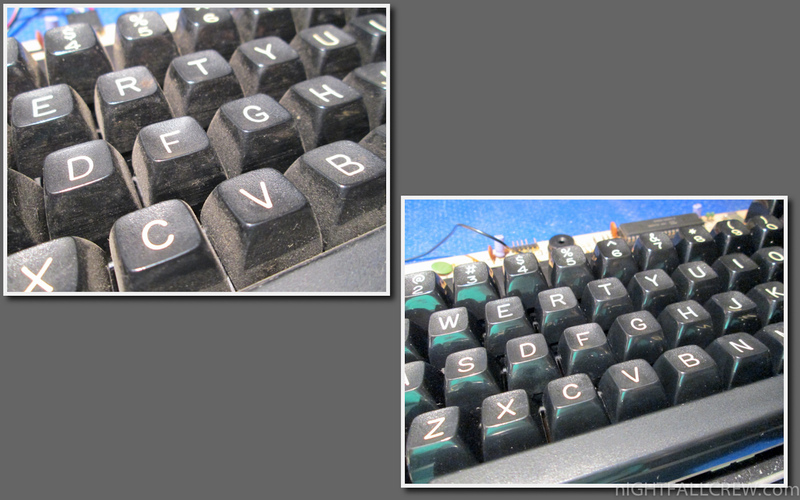 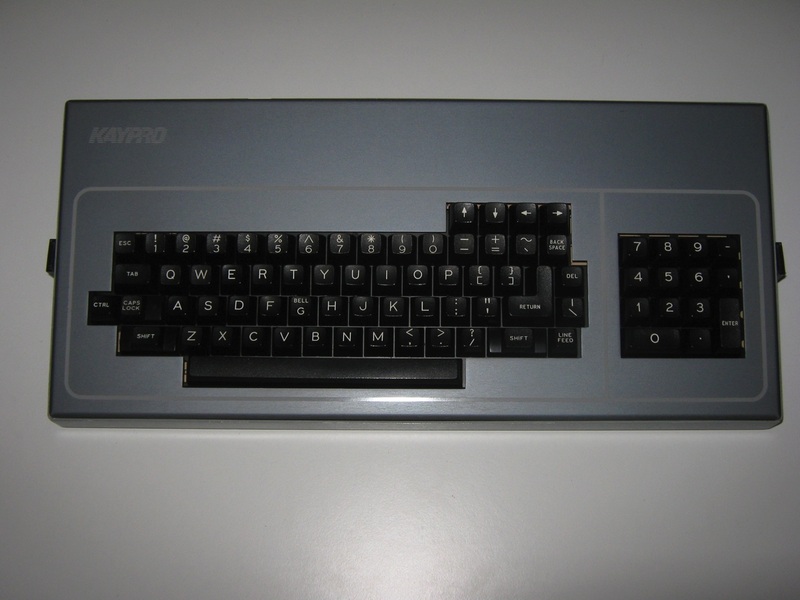 The Kaypro ran off regular AC mains power and was not equipped with a battery. 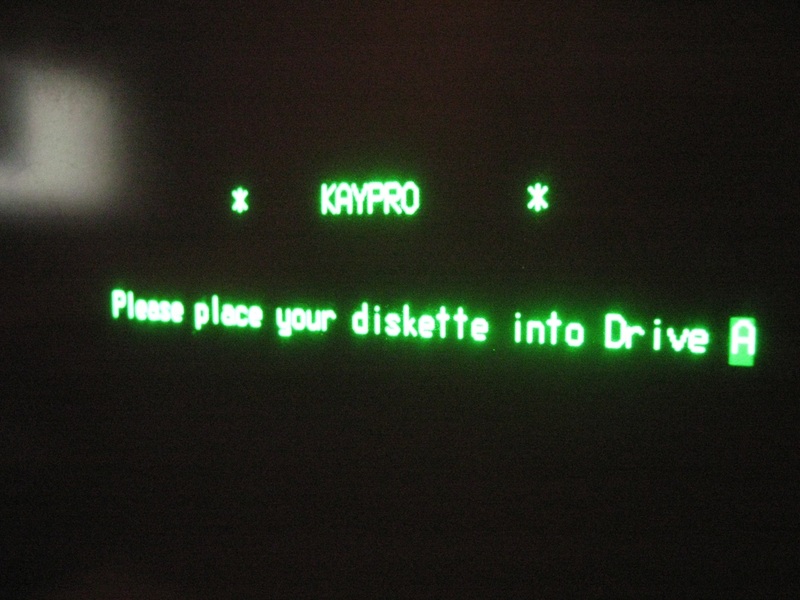 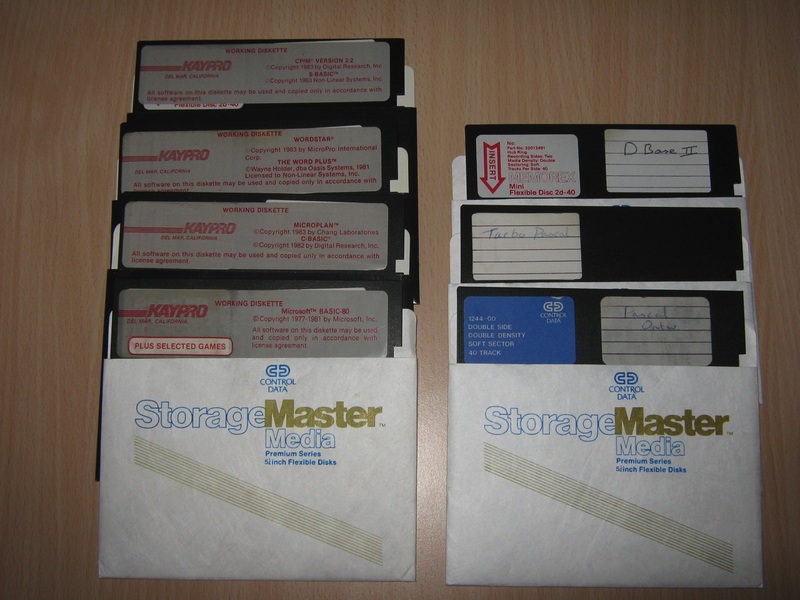 The Kaypro IV and later the Kaypro 4 had two double-sided disks. 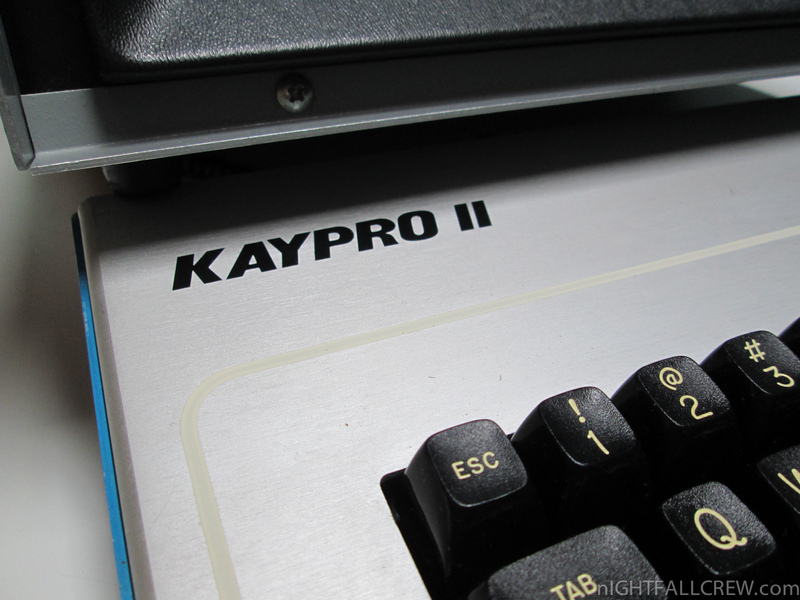 The Kaypro 4 was released in 1984, usually referred to as Kaypro 4 ’84, as opposed to the Kaypro IV released one year earlier and referred to as Kaypro IV ’83. 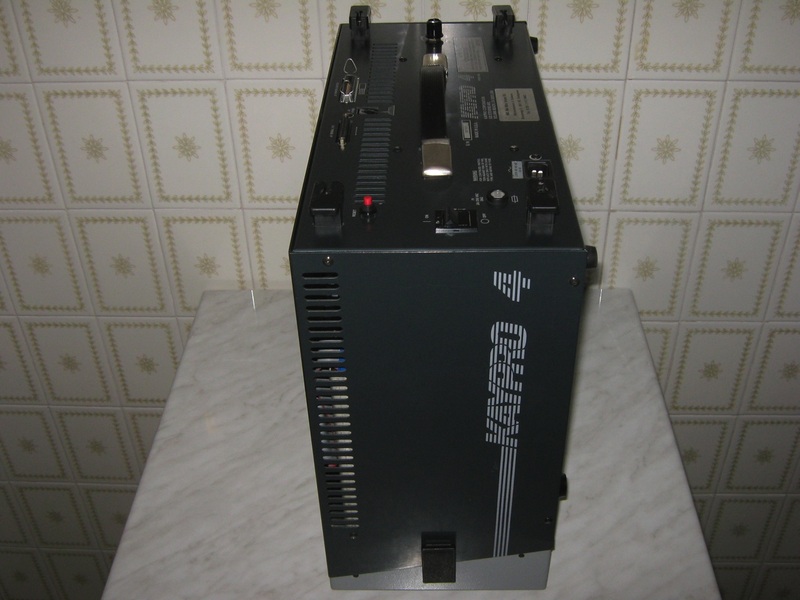 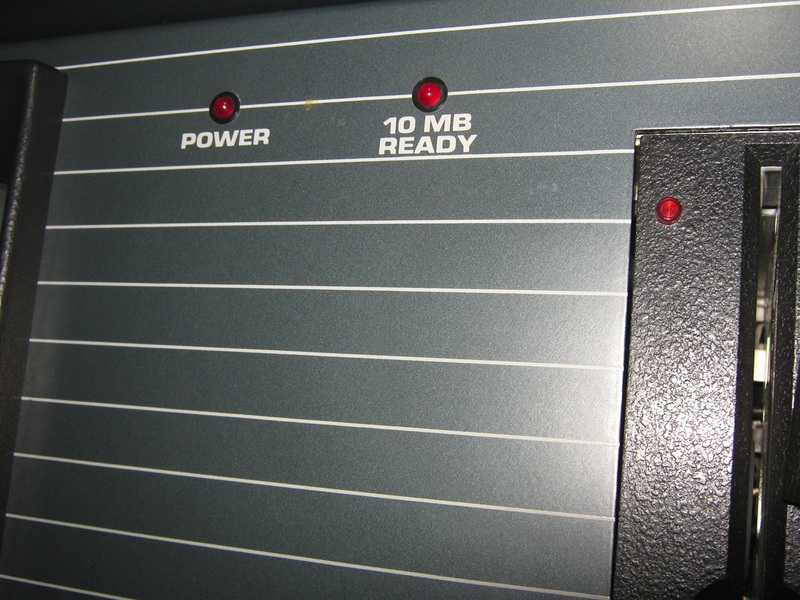 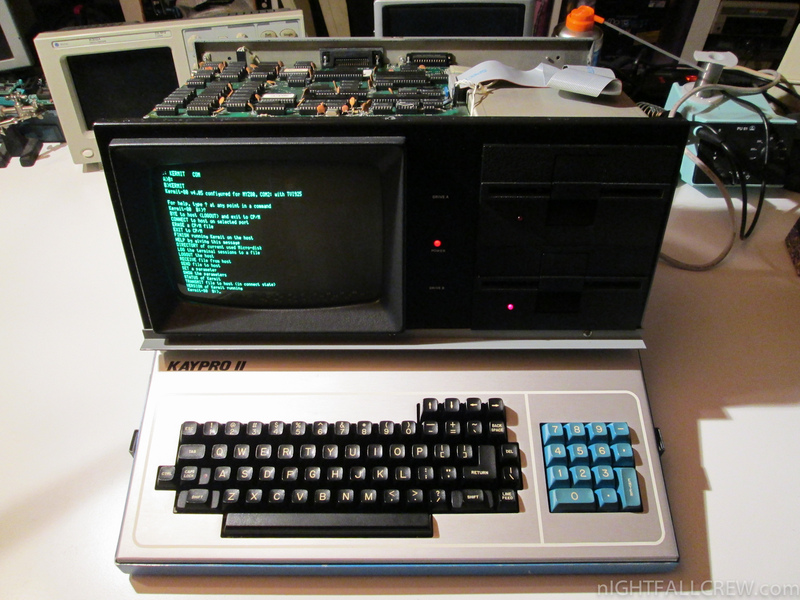 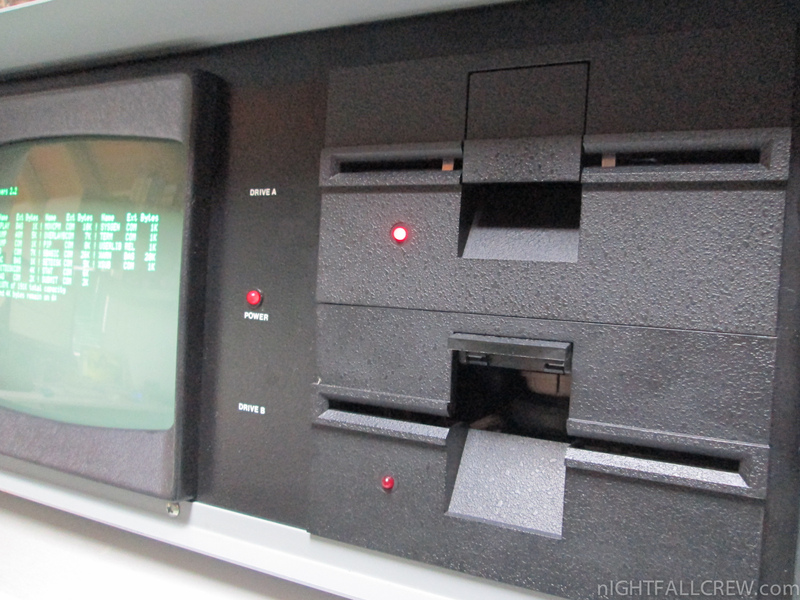 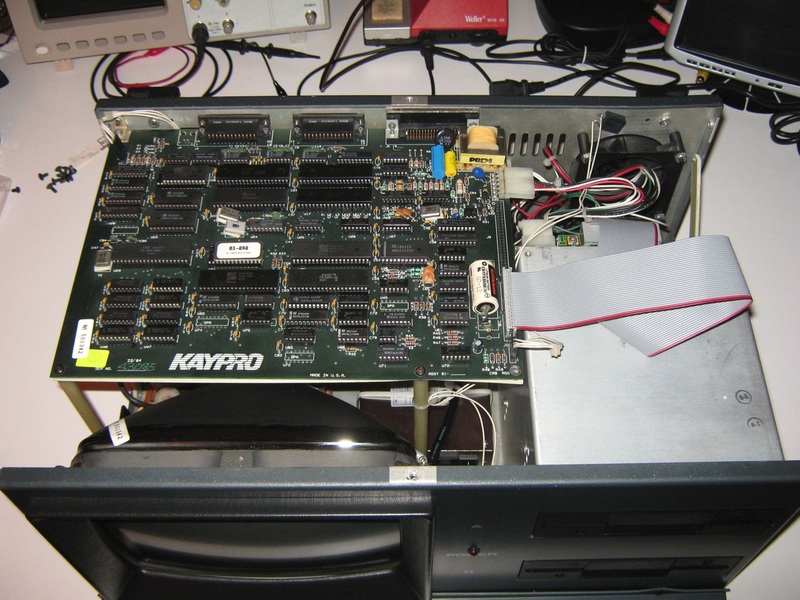 The Kaypro 10 followed the Kaypro II, and featured a 10 megabyte hard drive and a single 5¼” floppy drive. 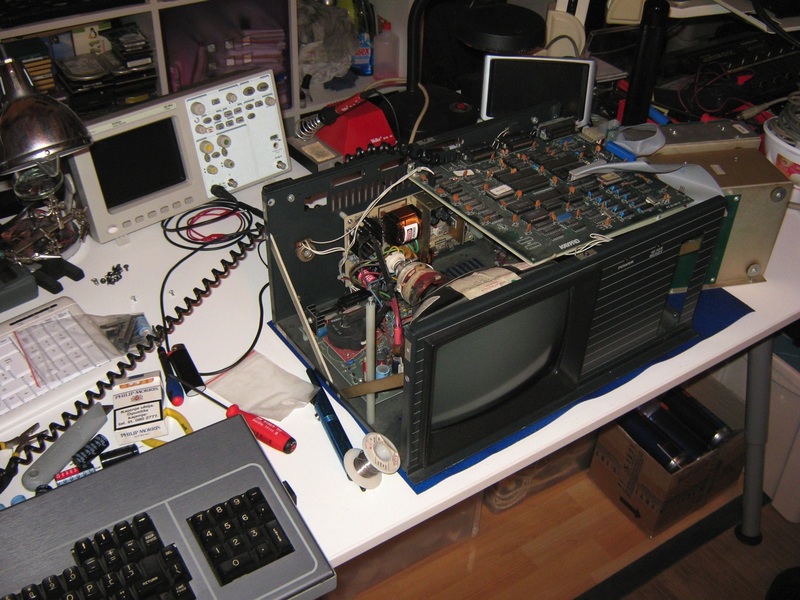 For the correct operation of this computer i have made some repairs. 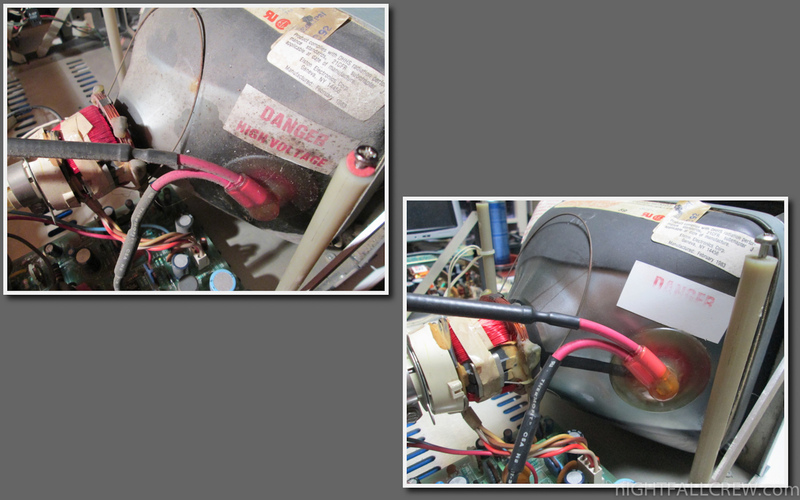 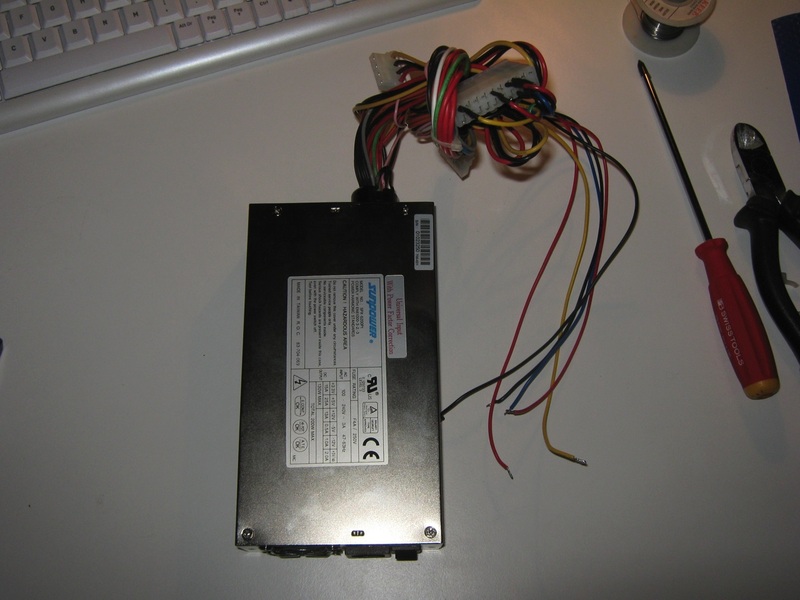 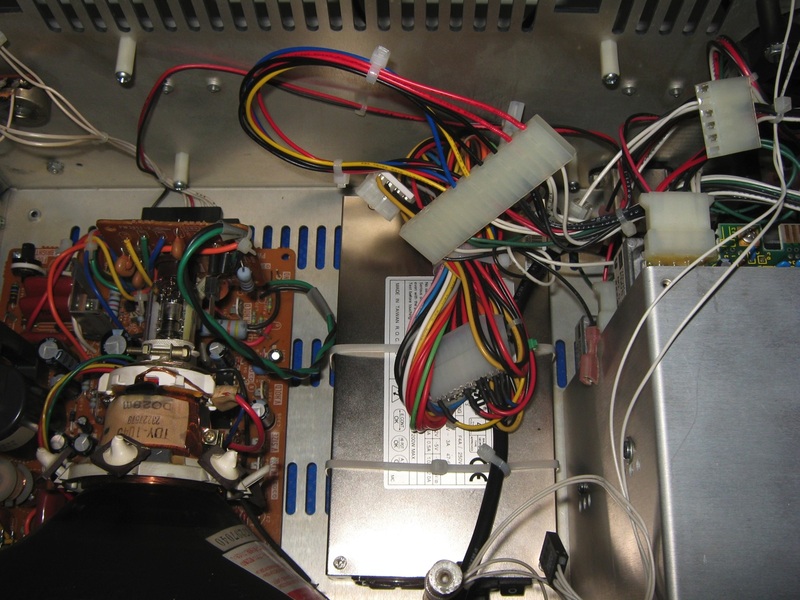 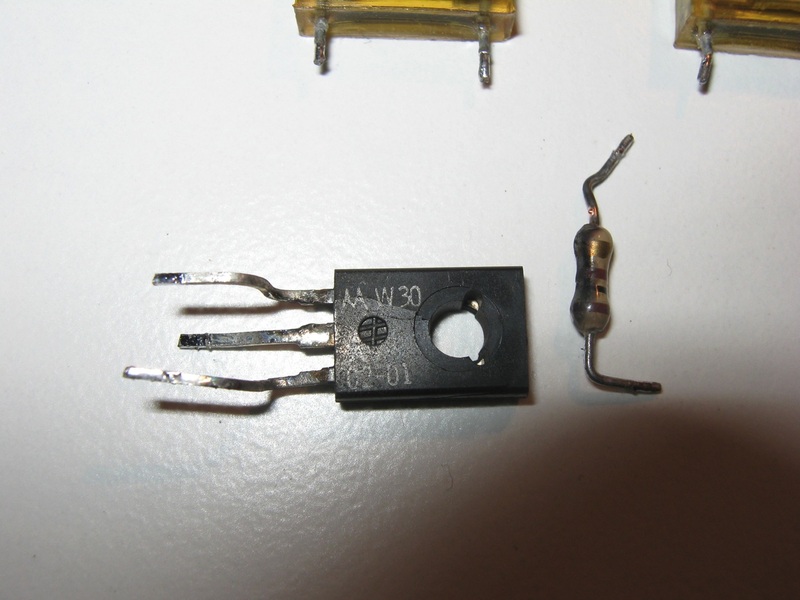 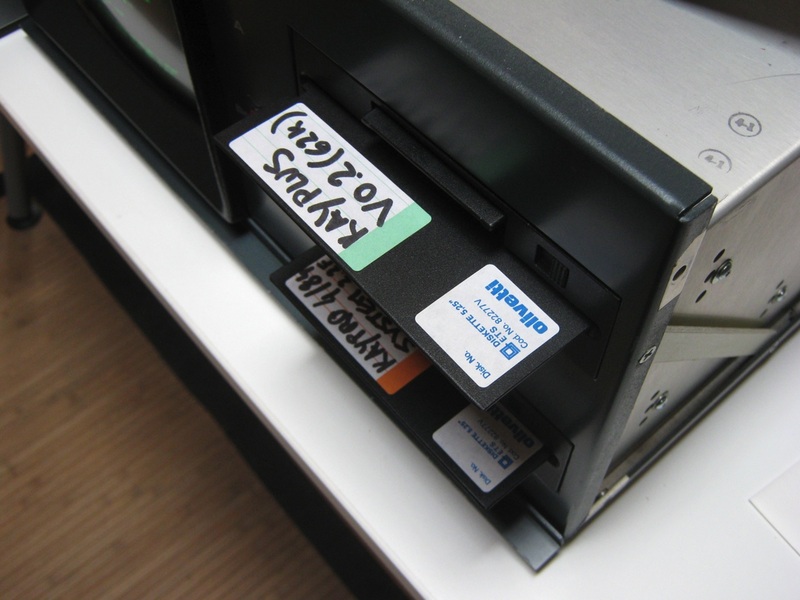 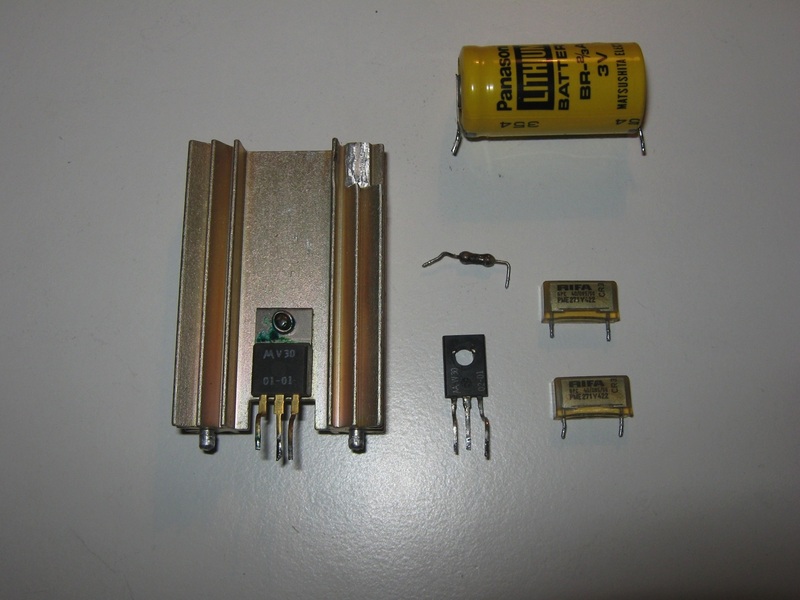 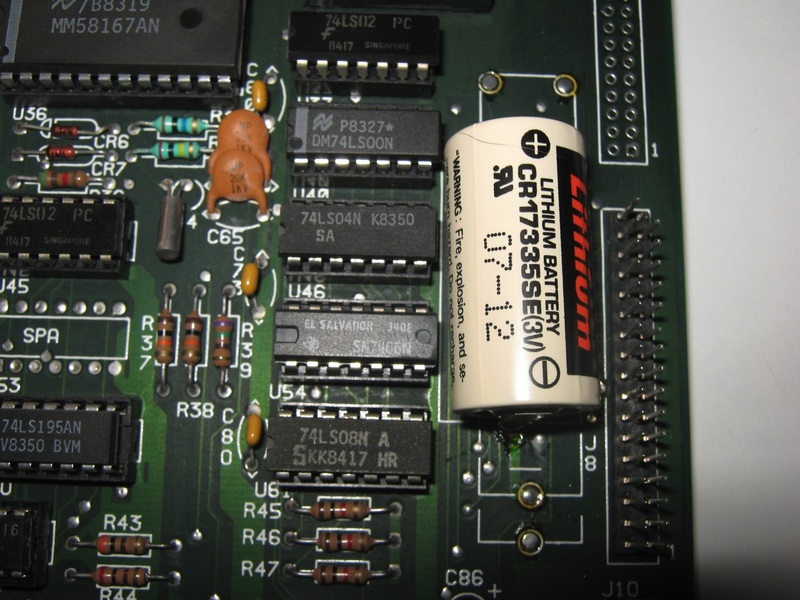 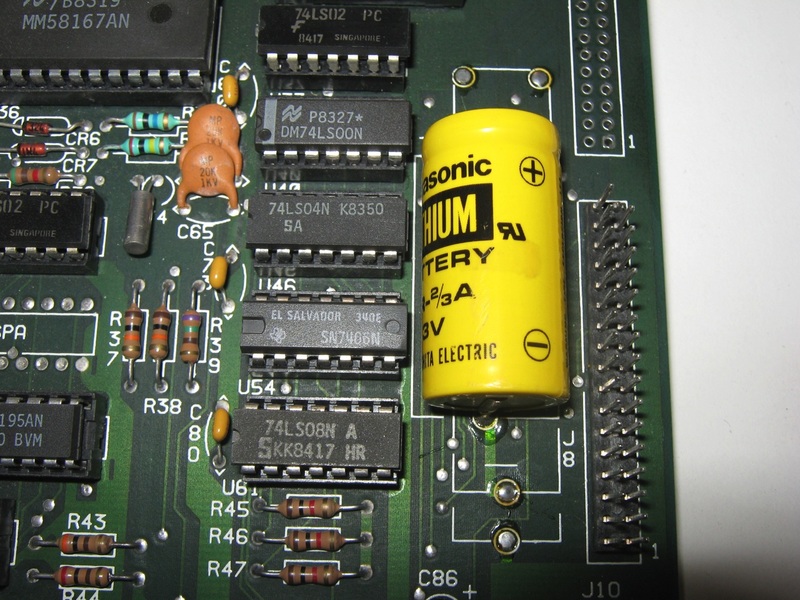 Replacing some capacitors (see photo) and the rearrangement of the pressure arm of the floppy drive. 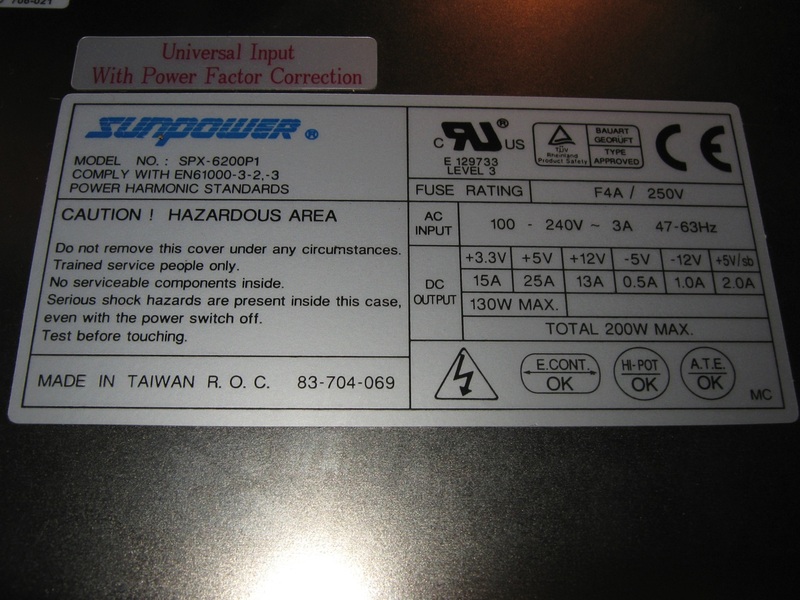 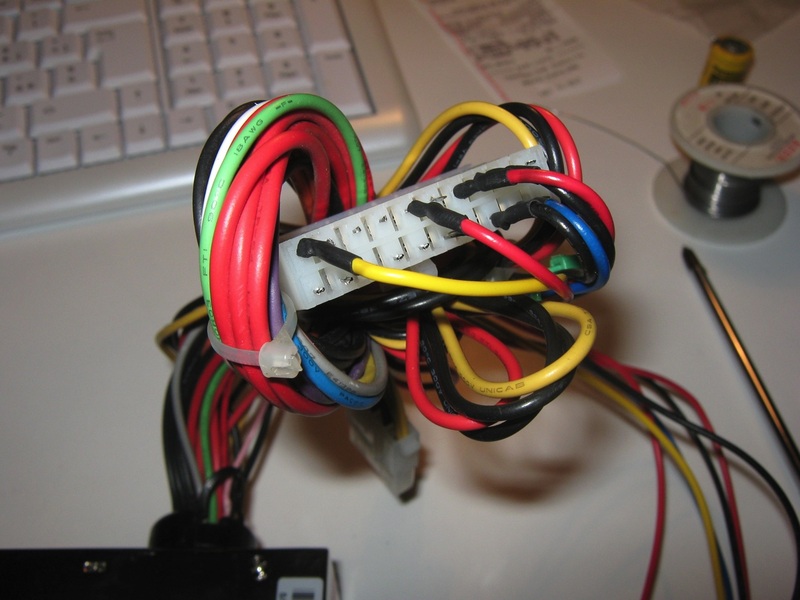 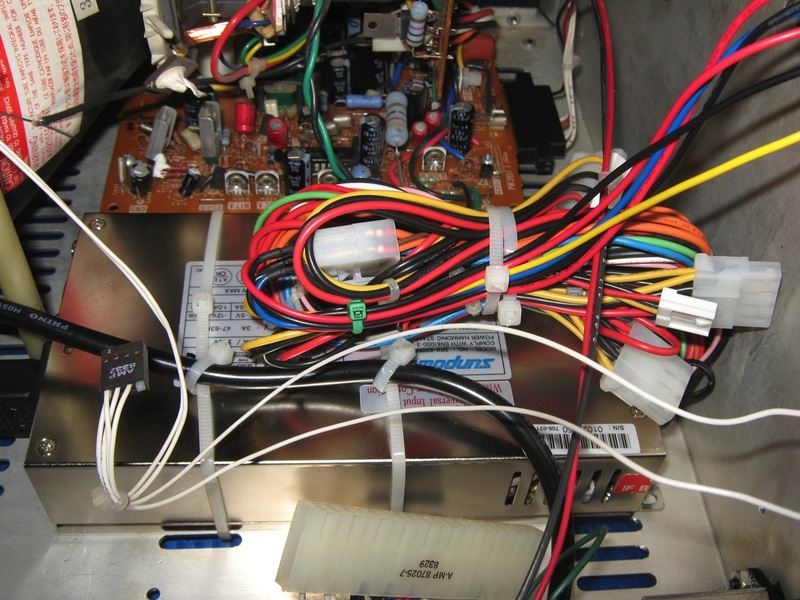 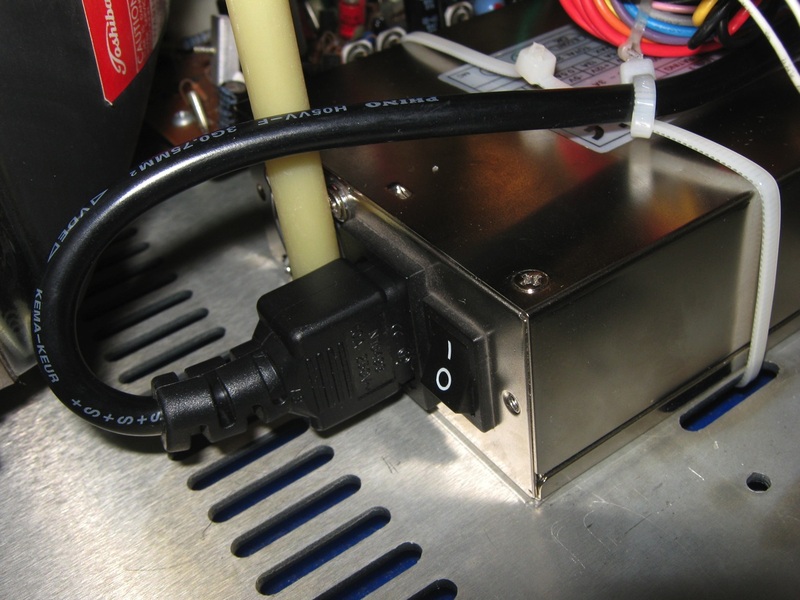 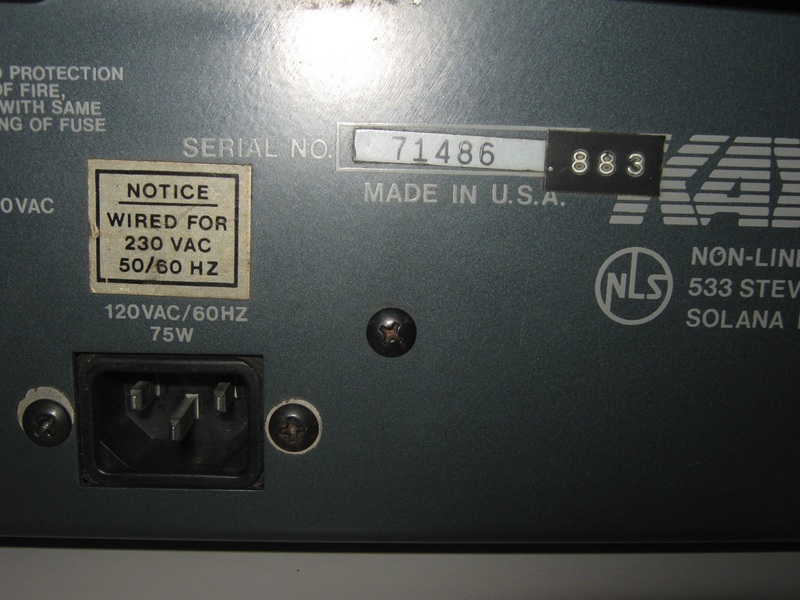 The fault of the power supply are the voltages. 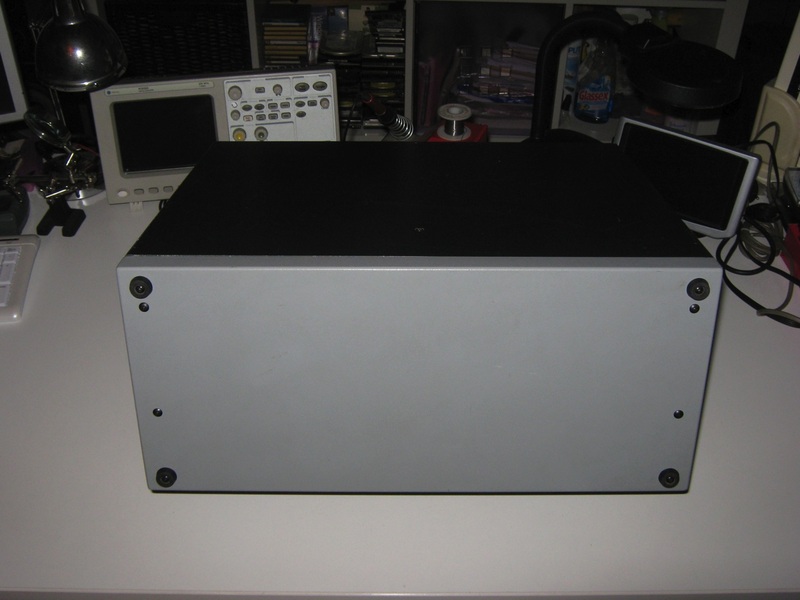 Under load the voltages +12 and +5 is lowered significantly. 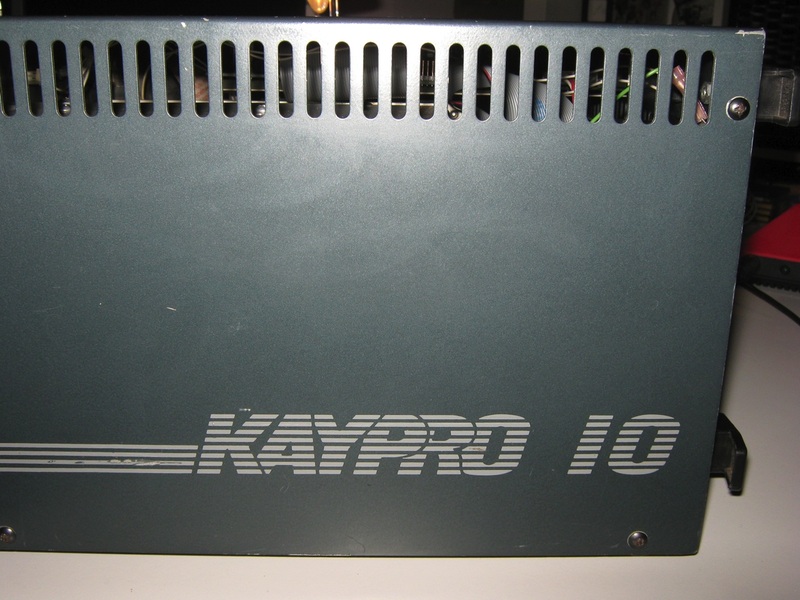 Kaypro Corporation, commonly called Kaypro, was an American home/personal computer manufacturer of the 1980s. 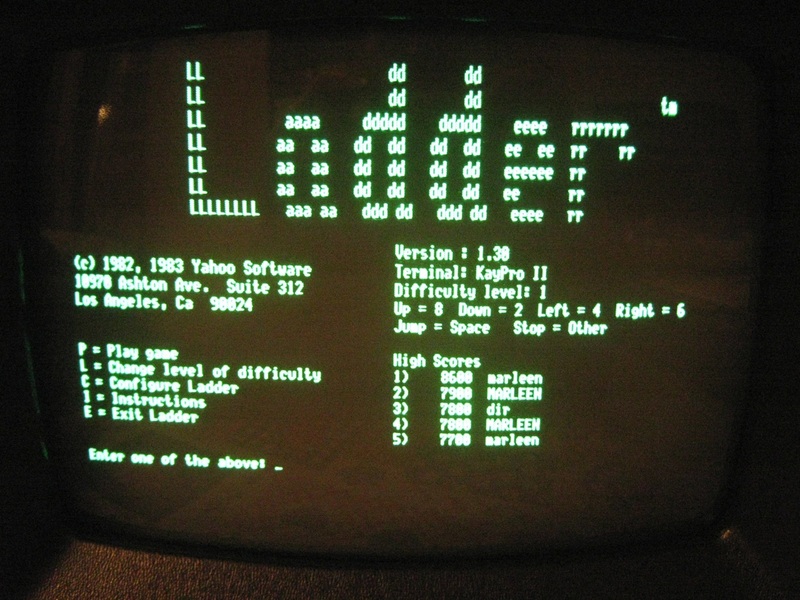 The company was founded by Non-Linear Systems to develop computers to compete with the then-popular Osborne 1 portable microcomputer. 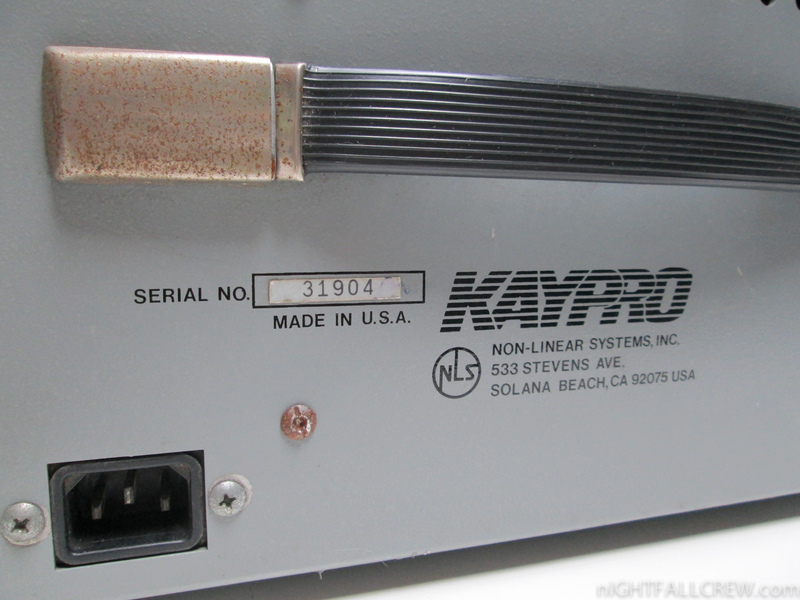 Kaypro produced a line of rugged, portable CP/M-based computers sold with an extensive software bundle which supplanted its competitor and quickly became one of the top selling personal computer lines of the early 1980s.